This review is brought to you by the EA Game Changers Network. Kolten, realizing this, decided to build a nice small home in a nice quiet town for his mother. Catherine was beginning to have arthritis so he decided on an arid climate. When Kolten saw the maps he was certain this would be a nice quiet spot and healthy for her too! Little did Kolten know that this was far from a retirement community. Catherine thinks the Military Vehicles should have been a clue…DOH! Catherine decided best to get her Pepe acclimated to his new home and explore a bit. Meet the neighbors, talk to new people, you know the usual getting to know everyone and the area. What’s this? She found loads of these strange plants. What are they? Is this some sort of new plant she had never heard about? Kolten used to garden and she had seen all sorts of plants, but this? She anticipated a mystery and decided to find out just what was going on. Contrary to what Kolten thinks, she’s not a doddy old lady and the excitement intrigued her. Catherine went to the town center to meet some of the locals and ask around. What’s this? More than half the locals are scientists and military personnel. Well heck, may as well get to know them too. Might be useful in the long run. So she started asking questions. Many questions. Ok so it’s about the lab. That curious lab in the desert. She had to know what was in there because she was, after all, that kind of person. There had to be a way to get in. Catherine continued to meet and greet people talking about Strangeville. She read and analyzed the books in the library about Strangeville. She found out from talking to the locals that there was a hole in the back of the lab security fence. AHA her way to get a closer look. So off she went to check out the lab. She called Kolten with an excited voice to tell him she was going to solve a mystery. He just thought his mother had too much time on her hands, but went along initially to humor her. She found the lab door locked, well of course she did, so she started hunting around for some evidence to implicate the lab in something unknown. Kolten went home, “at least Mom has something to do” he thought. She got all the evidence she could from the papers in the lab, but it just wasn’t enough. She had to talk to the military grunts, find out what they knew. Then there was that curious little fellow at the curios stand. Yes, she thought, must talk to them. While at the kiosk guy and bought a tin foil hat. I mean that’s supposed to keep scary things away right? Yes that will do! What’s this? He has a secret inventory? Catherine needed to figure out how to get a hold of that stuff. Well that’s for later. At the moment she needs to investigate that lab! Oh Oh and he has listening devices! Secret bugs to plant on people? MUST have some of those. She better order a listening device receiver so she can hear what’s going on. Let’s see, yep…should be there by the time she gets back home. Off she goes to investigate. She goes to the local hangout for the military and begins planting bugs. Quick hug hello and BAM you are bugged! She does this to several people around town to make sure she can gather evidence. She wanted to get as many as she could of all of them. Military, Scientists, and Locals. Catherine was excited but extremely tired. This evidence gathering takes a few days of covert operations. 15 pieces of evidence should do it. She goes home to rest and listen in to the conversations of the people of StrangerVille. Eureka! After some time, plenty of bugs, rifling papers, she has evidence! Cold hard evidence SOMETHING is going on in that lab! She also has some good blackmail stuff….She needs a keycard to get through that lab door. But who? Who can she get a keycard from? Tap Tap Tap her fingers go on the table. Catherine thought about the weird guy in town. Yeah, he might know something I can do to get in. Cute kid, but a bit off…we'll start there first. And YES she got a key card inexchange for her dossier on what evidence she found. What’s this? There is some sort of mist EVERYHWERE! Waving her hands she tries to get past the mist. COUGH! BOOM! She hits the floor…possessed. She’s possessed. Catherine shakes her head for about 30 min trying to shake off this feeling. Obviously she won’t get in this way. Feeling a bit defeated she leaves the lab for home. At least she knows something is up. It’s obvious with all those spores. As Catherine leaves the lab she notices the plants blooming! Actually blooming! Is this a good thing or a bad thing? They ARE really pretty. Curious, she takes a few cuttings and microscope samples from the plants. They may come in handy later. But not yet. She needs to find a way to get through that mist. After a good nights sleep she decides to try and talk to the scientists in town, so she heads off for the library where they seem to hang out. You’d THINK they would be in their lab with this great mystery to study. Sheesh. Catherine asks around about what is needed, hypothetically of course, to get past a contaminant. The scientists, it seems, have been working on a filter to filter out things that may be harmful. She knows she needs to do some research. Catherine also knows that there MUST be some sort of device to help scan for infections. Let’s see, who might have that. She decides to go and ask someone in the military. They do like their toys after all. Catherine decides to bribe her. I mean who can't use some extra simoleans? Annnnnnnd…..BINGO, a scanner. She sneaks back into the lab and starts scanning for spores. Catherine figures she’ll probably need about 15 to do some research for that filter. After several scans she has enough to do the research she needs to see about the filters. Great! Catherine has what she needs to get a filter from the scientists. She needs some rest now so she decides to see what she can do in the morning…..
As Catherine rises, eats and showers, she thinks about what this could mean. What will she find and how far will she have to go to find it. Ah well….first things first, she heads for town. *sigh* Catherine sits down defeated. Without that filter she can’t get deeper into what is in that lab…..wait….Lyndsay, she’ll call Lyndsay. She is a scientist, she knows her AND she’s a friend. YES! Back in business. Catherine has the filter, now she needs…what….this filter inserts into something. She knows! A Hazmat suit. Where to get one? She bets that little weird guy might know. Great! He had one in his secret inventory! A good nights rest and off she can go. Should she call Kolten? Nah…he thinks she’s just losing her mind. She’ll do this and then tell him her adventure. After all he may try to stop her. Off she goes back to the lab. She’s going to get into the deepest parts of the lab, find out what’s going on. Catherine goes deeper and deeper into the lab. She worked hard to get to this point, will she tell you? No, she thinks not…whatever it is will be behind the door. She has seen, but she won’t tell you! It’s for you and you alone to find out what the mystery of StrangerVille is and what happens from here. Catherine chuckles as she closes her research books. Can the sickness be passed to other lots? For example if your sim is infected can they pass it to other lots? I went to other worlds with Catherine that were not StrangerVille. None of the StrangerVille options were present (went with a scientist friend) so I would say no. It’s limited to StrangerVille. Will my sim be able to do some crazy experiments? I want to know what Bella has to do with this. Don’t know. Not telling. Probably nothing. Can I go inside the RV? No it’s just a prop as are the military vehicles. Is there a storyline to follow to solve the mystery? And if so, is it an option through the military career or can anyone do it? Yes it’s a whole storyline. No you do not have to be in the military. What the heck is big shadow in trailer? I know there were a lot more questions, but can’t answer most of them or I’ll spoil the mystery….it’s a good mystery story. This Game Pack has some new items pictured below. The Hat with the lights must be bought at the new kiosk. It’s not in the clothing inventory until you buy it. This article is brought to you by EA Game Changers Program and The Sims Resource. If you remember last we saw Catherine and her son Kolten, they were enjoying the weather in Brindleton Bay. They had some happy times but, as children do, Kolten grew up and married a wonderful girl named Angela. While Catherine brought him up to be a gardener, Kolten knew he was destined for more. So he packed up his wife, said goodbye to Catherine and headed for Del Sol Valley where he knew he could become famous. He was very happy to move into his new home in a modest neighborhood at Mirage Park. It was quaint and quiet where Angela could pursue her writing. Yes they may be quite happy here. Kolten bought a few acting books and began to study. He also got himself an agent. It didn’t take long for the agent to find auditions for him. He was extremely excited. However, it didn’t go well because after all he was a gardener and the auditions required more skills than he had. Kolten didn’t get the part! So he buckled down and studied hard, practicing his acting skills in the mirror, while his wife decided to get finished on that book! Good thing Catherine passed on that motherlode inheritance to him. Angela had started writing long ago and before long she finished her first novel. In the excitement she found choices for how she could market the book. She noticed that all the choices would start her on her own road to fame. Made sense after all, artists become famous, writers become famous, singers become famous…. Kolten continued to earn his skill set but did not forget about social media. He made sure he got his name out there every chance he got! So looking on his phone he began to use social media as an outlet for his fame. A few weeks passed before Kolten called the agency for another audition. This time he auditioned for a Suds commercial. This time he was successful. A time and date was given to Kolten for the filming. The day came and Kolten went to the studio for his big break. He had tasks to do like other jobs he had seen and a time frame in which to complete them. First to Make-up, a costume change, directors notes, and off to do the commercial. This went on and he continued to do street performances, social media, and auditioning all the while for other jobs. As his fame grew so did the demand for him and he received perks that he could enjoy for being famous. Perks included an entourage! There were several ways he could have gone, but Kolten was raised properly and was a very kind star. After many auditions, beating the pavement Kolten finally made it. The house at the top of the hill. An overlook into the beautiful town of Del Sol Valley. This EP has many things you can do. It is much like other fame EP’s from prior Series versions of the game. *You can dress in a disguise if you want to roam freely once famous and not have fans follow you. Click on any mirror for this option. *The Sims will walk differently once famous. You have an option to turn this off by clicking the Sim. *Fame can be lost by not staying in the public “eye” by not being visible or out and about. *When becoming an actor you do not go with the Sim on auditions, only once hired. Last we left Catherine she was gearing up to end the summer, there was swimming and roller skating. Eating hot dogs and overall sending it off with a bang. Not once but THREE times! The only luck she had was that it didn’t kill her. But her eyes glowed! Fall comes in with blistering winds and leaves turning colors. Catherine sees the grass turning brown and leaves falling off the trees. She’s a clean freak and the thought of the leaves all over the yard sends her brain in a spin so she sends Kolten and his Girlfriend to clean the yard. There are interactions to rake, burn, play in, or throw away. Well, well, well, Kolten rakes the leaves but the word “play” comes in. With an evil sideways glance to make sure his mother isn’t looking he jumps on it. However, his girlfriend, who is quite taken aback by Kolten’s mother, sets the pile on fire to burn away the leaves. Almost sets fire to herself with all that fuel she poured on it. which is in the options for a holiday. Spooky stuff and dressing up was also added. Once the holiday comes you can click and change your sim into a costume on the day. Fall is full of fun and things to do but winter, Ahhhh there’s the ticket. Fall passed without too much fanfare right into winter. By now the leaves are gone from the trees, totally. Catherine looked at the bleak sky and wondered if this change was all worth it. She threw on her overcoat and headed out with the dog for a walk. Then it happened. One flake at first but then, another, and another, and another. Soon the ground was covered with that white cold powdery SNOW! Of course Kolten was too excited. He loves the outdoors no matter the weather. Catherine looked at her son and with a groan entered the house. There he was making snow angels in the snow. Having the time of his LIFE! He wasn’t done there! Oh no, he made a snow pal! Yussssssssss…..snow is great! He coaxes Catherine outside and they build their creation together. Not too bad for the first try! Your children can talk to the snowpal and make friends! Winter is full of fun things to do. Snow ball fights, Snow Angels, and of course Ice Skating! Smacking your son with a snowball is kind of fun. I mean LOOK at him taunting Catherine here! Which brings us to a gift giving holiday. EA gives you a predefined holiday in the calendar that is akin to Christmas, however they give you all the tools to make a holiday of your choice as said yesterday. You can delete any holiday you choose and replace it with your own. I chose to keep the default holiday. You can buy presents for under the tree (or any other way it’s done on any other holiday) in the activities section of the game. You can add to the presents as the holiday approaches. There is also a set of boxes that you can use to decorate your home under activities and if the holiday calls for decorations you just reach in the box and it decorates inside or outside according to where the box is placed. This works for any holiday the boxes are tagged for. You can buy a tree and decorate it or if your holiday involves candles you can light them ceremoniously. On the holiday it was set for making a grand meal. You make the meal and call everyone to dinner to complete the holiday task. Outside decorated and Catherine ready to give gifts she goes off with her family to have a wonderful holiday in the winter wonderland. Welcome to the winter wonderland! Seasons debuted Friday for all of you, but because of the game changers plan I received my copy Thursday. Loaded that baby up as I couldn’t wait to see the new pack. Now I know, you would have liked to have seen the previews of the pack early, but I honestly could not take myself away from the game long enough to write this up. There is so much to do in game with this new pack. So what I am going to do is walk you through my game. Let me introduce you to my Sim. Her name is Catherine. She has a small dog named Noodle she adores. Last I saw Catherine she was debating what to do with her life. Her Mother left her plenty of motherloads in the will, so she had time to think on a career. Exploring her new seasonal world was going to be a snap. She thought…. Catherine decided spring because she just wasn’t sure about the winter thing. She hates being cold you know. This screen only comes up when you start the game for the first time with Seasons installed. Then you can go to the game play options and set the days for your season. She chose 7 days for now so she could see just how long she could survive a winter. Now that she chose the days it was time to get ready for the seasonal weather. Stopping by the wardrobe she chose her clothing according to what she would need. What’s that? She noticed 2 new categories in clothing. Hot and cold. Needless to say she rummaged those to find stylish yet practical clothing for the new seasons. Peering out of the corner of her eye she spotted A GNOME outfit? After she stopped laughing she picked one up for neighbor Bob, who undoubtedly is going to want that bad boy for himself. She made her way home to find a calendar in her possessions and thought it must have been a freebie from the clothing people. Upon closer inspection she found she could actually make holidays, with days off work, PAID! Now even though she received the motherloads from her mothers will, she decided she had better find a job if she wanted a butler. And so she did after which she fixed the calendar for the holidays she wanted. Catherine noticed that the calendar had MANY holidays to choose from. Holidays for every walk of life. With things to do and achieve to make the holiday special. All holidays are interchangeable with customizable icons. So if you don’t want any holiday you can delete them (even the default ones) and add your own. You name your holidays yourself at the top. Catherine also noticed that you could add events to the calendar. Want to celebrate a birthday? Have a BBQ? You can now do that with the calendar. So now finally job in hand, butler on the way, holidays set she continues her life. Having a small garden in her yard she notices that the plants are now seasonal. Plants for the summer, fall winter and spring are now defined. Thank goodness the butler takes care of that, what with working and taking care of noodle, who has time? Catherine takes time to silently thank her mother for the motherloads she was left in the will. But wait…..what is THAT in her garden? A scarecrow? Has to be from her neighbor Bob as a thank you for the gnome gift. She thinks she may just go have a look because this scarecrow is very interesting. “I can talk to it?! ?” she muses. What fun! Although she finds out if she talks too much it kind of takes over the garden. Better be careful here. As the days of spring press on She is busy with work when a little waif of a boy waves at her from the bus carrying the orphanage on a field trip. Something about the boy tugged at her heart. “What am I thinking? My life is set!”. But she just couldn’t stop thinking about the boy so she called up and adopted Kolten. She wasn’t sure what the heck she was getting in to, but hey, what’s a holiday without a kid to share it with? Who was going to give her presents? Yes this may just work out fine. Spring also brought a holiday that involved Gnomes. Catherine KNEW that gnome costume for Bob would come in handy! As the holiday approached the calendar gives a reminder that there is a pending holiday the next day. A button will let you go straight to build mode for holiday decorations that fit the days defined events. Catherine woke to find the holiday in full swing but WHAT? Gnomes are all over the yard and house! What do we do with this? She carefully approaches the gnomes to see what is going on. Seems they expect gifts and singing. Waking up Kolten she goes out to the garden and together they sing the best they can to the gnomes. They are still there. Maybe they want a gift. She gives a gift to one of the gnomes who then disappears. And leaves behind a packet of seeds? But wait! These aren’t just any seeds these are SEASONAL seeds! These will come in handy! So Catherine opens the packets to her inventory stash. After giving gifts to all the gnomes she had loads of seeds for the garden. Good thing because seems Kolten is very interested in Gardening. Walking through the house she finds that the gnomes are still there! They just moved. So it’s gift giving to gnomes and singing for the day. OK then. Sprinklers are a new thing and they work. Kids enjoy splashing in the sprinklers during the warm days. Adults can do most things kids do when it comes to the seasonal things. As spring turns in to summer we see Kolten age to teen. All Catherine sees is a new hand for the garden. YAY! We planted a lot. We all know that April Showers bring May flowers and boy did it rain. Left mud puddles everywhere. You slip in mud puddles (I lol’d at that) and have mud fights. The game seems darker but that's due to cloud cover. Coming into summer the days get quite hot. But thanks to a new thermostat (Found under activities) we can set the temperature inside to warmer or colder depending on the weather. Be careful as turning the thermostat can cost you simoleans on the bills. Now we all know that Sims kids are expected to go to school no matter what time of year. Catherine thought, “No not MY kid” and opened her handy dandy calendar and set summer as holidays all across. Which also meant no work, getting paid….having summer fun. Catherine set about doing some flower arranging in her new handy dandy flower arranging table. Ah the smells of summer. Flowers and cuttings. Kolten decides summer is for gardening and bee keeping so, along with his soon to be girlfriend Kaitlen, gardening and bee keeping for the summer it will be. Except bonding with the bees wasn’t working out too well. But hey, he gave it a try. Summer flies by, as it always does and we find ourselves on the edge of fall. Tomorrow we’ll cover fall and winter. Also all the holidays I set and what activities you can do when participating in the holidays. With that, in case you haven’t already bought the EP (which is well worth it imo), I'll leave you with the new items from the pack. Clutter. The umbrellas double as an activity. Have your sim grab one for the rain. We've received several reports about downloading problems showing up on the site. After some investigation, it seems to be related to making use Windows 10 in combination with Edge. We'lll try to find a permanent fix for this as soon as possible. Until then, our advice is to make use of a different browser. If you have this same problem (download not being activated, browser saying it's waiting for a response from TSR) showing up in a different browser, then please let us know in the froum which browser you're using: http://forums.thesimsresource.com/topic/282999-windows-10-edge-downloading-issuesquestions-and-reports-here-please/. We're sorry for the inconvenience caused by this, and hope to have it fixed as soon as possible. Laundry you say? Wash clothing you say? Stinking undergarments? Soiled Pants? That sweater your Sims have had at the bottom of the pile since Sims started? Well…..
You asked for it! EA is giving it to you!! Time for Sims to do laundry. That’s right Sims will join the world of the living being able to have a laundry at home. As per community request Sims will do laundry with the new stuff pack coming your way January 16. I had a chance to delve into the smelly business of Sims wash loads and a sneak peek of the new pack. While there are no new aspirations or traits, there is plenty of new interactions for doing laundry and one silly interaction that your simmies can play on each other. I’ll start off with doing laundry. There are 3 clothes baskets to choose from. Each clothes basket has a limit and seems to hold its own laundry. You only need one in the house for all the Sims in the household, but since it’s limited, unless you want to do laundry everyday, I would have one for each adult sim. And unlike sims 3 (happy happy joy joy) they do not have to be in the room when they change. Anyplace on the lot and the clothing magically goes in the basket. Now we all know that EA has a great sense of humor. They have included several wash options. Have a small apartment in the city? Then you can have a shiny new double loader. Have the space? Then you can have the deluxe side by side washer and dryer. Wait….your Sims are broke? Not to worry they can have fresh laundry too with the handy dandy wash tub! Complete with the wash board to work on those abs! The water must be changed in tubs after every wash and toddlers can play in the water. It’s too darn funny. Clicking on the laundry basket gives you the interactions for doing laundry. Or searching Pockets. I found some change. Not much but my broke sims appreciated it. Four Simoleans. We eat tonight! Then it’s on to the washer, or washtub depending on what you have available. If you have both then both options come up. Once you have your Laundry in the washer (or washtub) you can choose doing the laundry or simply dropping on the floor. Your Sims has the interaction to watch the laundry. I suppose if you have an unemployed, very bored sim, watching laundry can seem almost….exciting. Rumor has it that some sims can get dizzy on the spin cycle. I tried but, alas, couldn’t get my sim dizzy. Upgrading your washer can give you even more interactions but unfortunately, my sims are great at food and arts, but silly me no handy sims around. After your wash cycle, of course you have to dry the clothes and EA put a really nifty clothes line in game, but I suppose if you really have to, you can waste energy and use the ever boring clothes dryer. **sigh**. Do not forget to clean the dryer lint trap. Doing so can result in the dryer blowing up in yet another way to possibly kill a sim! Ahhh, gotta love EA! Of course, I did both to show you the new interactions. Sims that are slobs will change and dump items on the floor. If you don’t pick them up, then you will have a horrible smell in your house after a while. Clean clothing ages as well so best to wear fresh after a wash. I found that butlers and maids keep up with laundry, however that really bad maid just dumps the clothes on the floor. My maid in my well to do sims house just dumped it and left at the end of her day. Pfft. She’s fired. EA decided not to make this Stuff Pack too cumbersome like the washing was in sims 3. So those of you that toiled and worked and really thought washing was something you wish you never installed in the sims 3 days, do not worry. It’s a fun, interactive, not too cumbersome version of Sims having laundry. While I ended up uninstalling the sims 3 version, I’m keeping this one. It’s fun, funny, and a better take on laundry in your sims life. We are going to review the rest of the new EP today. I literally played this for 14 hours straight with only short breaks and I doubt I got everything this EP has to offer! The first thing I want to get into more detail about is with regards to the new world. There is a lighthouse you can travel to and a Pier. I enjoyed leashing Bullet, my dog, and taking him for a walk around the pier. I took the cat too, but...the cat wasn't happy about it. She wanted me to hug and pet and pay attention to HER because...well she's a cat. So while I walked around with Bullet she sat pouting on the dock. Great to see Seagulls! One of the nice touches EA added. Yes they do fly off if you get too close. They have added a new kiosk that sells the “Fresh Catch of the Day”. So if you don’t like to fish but enjoy that fresh fish taste then just trot on over to the kiosk. Aha! One of my neighbors with their little dog. Nice to see her here! As you can see the docks are well thought out with nice little touches like the buoys and birds. I decided since I was already at the docks we might as well visit the lighthouse on the outer island. You can go to the lighthouse through a boat which fast travels you to the Lighthouse Island. It has the lighthouse and a museum. Plenty of walking space for you and your pet as well. You can go up in the lighthouse, but you don't walk through the house. So once you enter the house look up and you'll be standing in the top of the lighthouse. She was getting a bit hungry so thought it a good time to go home. When travelling you do have the option to take your pet with you anyplace you go. So if you are partial to a walk in the city just choose your pet in the travel menu. The pets seem to go home with you automatically when you hit your home button. However if they do not, don’t worry you can call them by pressing this little whistle on your pets icon. Also a handy dandy thing is you can gate your lot and lock the gate for your pets so they do not go wandering around. Also comes in handy at 6AM when the dog is at the door wanting to go out. BEFORE Coffee! And yes in game they stand by the door and whine! Why do I have pets? You need to pay attention to your pets, what their thought bubbles are, when they whine, meow, whimper, because like in real life they mean something you have to address. Although Bullet keeps obsessing with the refrigerator and I have yet to figure out what to do about it. One of the cool things was that you can feed your pet while you are eating from your meal. But like real life this can cause begging issues. Especially if your dog has the mooch trait. I even found I could give the dog my plate after I was done eating. LOL! EA really put a lot of detail into this. Of course that brings us to the not so subtle hints something is wrong. Muppet the cat went out all night and came back with something obviously very wrong. I rushed to the poor little kitty and had the option to address “What is wrong” and “Take to the vet” You can call on your phone and travel to the vet as well. Just select the sick animal to go. So off to the vet we went.
. In the meantime my poor Muppet was in agony and had to use the litter box constantly. When we got in to see the vet she examined poor kitty and determined that she needs to go to surgery which is a computerized thing. I opted for the economy treatment which then gave poor kitty the “Cone of shame” of which she had to wear for 2 sims days. Hey I’m saving for my own vets office. Kitty shouldn’t have been roaming! Poor kitty. I also picked up some treats from the vets office. Treats can do a lot of things and the only place you can get them is at the vets. One for resurrection, one for crapping gold bricks, one for age down, one for age up. Things like that. Yeah normal pet stuff. After a few days using my economy vet equipment I finally got to level 4 of the vet skill. I figured that was enough to be at least a decent vet. So away I went to purchase my very own vet clinic. 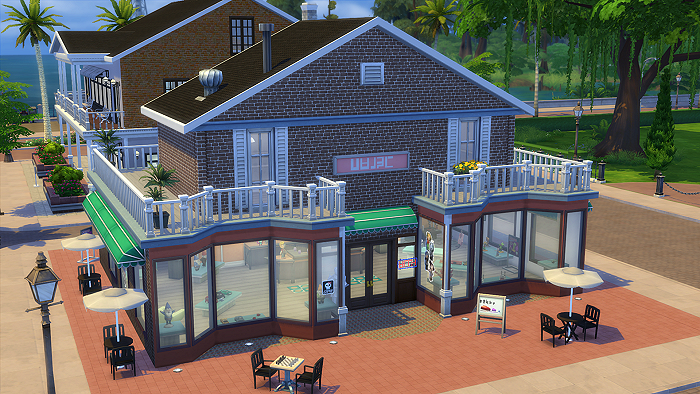 I built a vet clinic because #1 I wanted to see what came for vet clinics and #2 I just like to build. You can actually purchase the vet clinic in game. Since I didn’t have time to look for vet clinics elsewhere I wanted to make sure I still had a place to take my own pets. Purchasing a vet clinic is much like purchasing any other business, you can choose the uniforms, prices, you hire, fire and there are business perks. So since this was covered in another EP we'll get to actually being a vet. After I show you the cute uniforms. On to being a vet. Being a vet is uhm…interesting. You diagnose the pets and treat the pets for all sorts of ailments. Sometimes they need surgery. Some owners just bring in pets for a check up. Basically you go through a whole list of things to find what ails them. But be very careful as the more you poke at them the more stressed they become. The more stressed the pet becomes the more stressed the owner becomes and you don’t want bad reviews! There is a meter at the top of the pet to the top left that slowly turns red the more stressed the pet gets. Keep an eye on that because you will get a calm the pet option. Use it. First a patient comes in and you greet the patient. Once you do an option pops up. As you can see there are many options. You just keep going down the list until you figure out what's wrong and then suggested treatments come up. Other than that it's like any other business waiting on your customers. Greet, Meet, treat. Now on to the new “stuffs”. They didn’t scrimp on that either. I'm going to show you as much as I can, but I am sure I haven't seen everything yet. New hairstyles and clothing. These are just a few. Need to leave some surprises for you all. There is also a new aspiration. A couple of new traits. And loads of new content. Loads of new gameplay items. Stuff for your pets and stuff for you. A new pets category is also in game so you can easily find pet items. The gameplay is very full with this EP so plan on spending several days getting to know it. I hope I have given you at least a taste of one of the best EP’s this series. EA has given us a brand new world to play with and it’s the prettiest by far in my opinion. The world itself looks like a coastal New England town in the US. The gameplay itself is packed with loads of brand new interactions involving your pets with that good old EA humor. I was pleasantly surprised by the way the dogs and cats act and live because it was just like having my own dog in the game. The new world is called Brindleton Bay and comes with a few empty lots. (One more than shown here, I just HAD to build a vet clinic) It’s a quaint world with loads of trees and places to take your pet. Not to worry, I checked, there are pets in other worlds as well. We’re going to start off with the gameplay. This expansion only offers cats and dogs this time around. You will not be able to control them, which may be hard for some, but believe me when I say it adds to the gameplay not to be able to do so. I started by creating a brand new family because I wanted to see what options there were in CAS. Building a pet is actually a really fun thing to do as they are like building Sims really. You can use the built-in sliders to get the pet just right. The only thing I did find is that the pets are a little smaller size so that a greyhound is more a medium sized dog in game, but meant to be a large animal. You may want to keep that in mind when making your dog. There are many options to building your pet. Then you can zoom in like a Sim and tweak things like ears, color, coloring tail, etc. 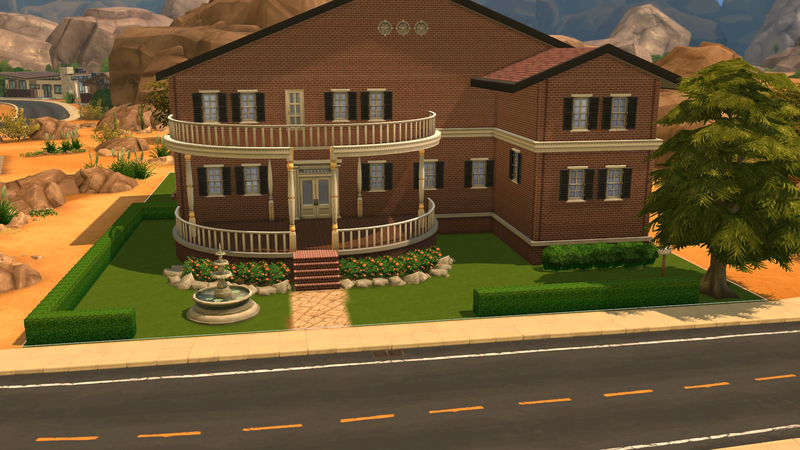 After I created my family I moved them into the neighborhood, a few motherlodes insured I could get not only a bigger house but also a vet clinic. Hey I had to work fast, so I thought. All the motherlodes in the world couldn’t get me ready to be a vet. It’s study, study, study. Although you could probably buy a vet clinic without the training, I wouldn’t want to send MY pet to such a clinic! There are no skill books for vet training, just good old fashioned hands on experience. So…. I bought the vet gadgets I could for use at home. Mainly the “poorer” versions of what a good vet clinic would have. You can’t examine your own pets, even if you have a clinic (why I had to build one) you have to take them to another vet. So I started working on my vet skill while trying to also train my own pets. Yeah, I know, what a mess. Although I did start upping my vet skills. Which brings me to training. Training is a good way to not only teach your pet something but to build relationships with your pets. There are loads of new interactions with your pets. There is also pet care which offers even more options. In this new family I have Bullet, who is like my real dog companion. A whippet (I used a greyhound because as I said the pets were a bit small) that is a mooch, trouble maker, and stubborn. And yes I really have a dog like that. But this is where I was so impressed with the gameplay. It was like I was actually playing with my real dog! I laughed until my insides hurt. I also have a cat named Moppet (No not in real life). Who, by the way, is a bit of a hunter. But aren’t all felines? You can take your dog on walks with several walk types available. A long, med or short walk is available. They added little details any person with a dog can understand. Like the clicking of their nails against the pavement and the way they look at you becuase you are their person. Once you have worked your way to a good relationship with your pet you get an interaction called "feel the love". More about that later. Oh and what is this? Bullet found something! Just look at him dig! There are several places around that a dog or cat can dig and find surprises. And no I'm not going to say because then it wouldn't be a surprise, would it? The dogs even pee and poo like real dogs. The cats use the litterbox. Which you have to clean. I said it was like real life, didn’t I? See him lift the leg? I know, but I found that funny. Oh and poo can be used in gardens...fertilizer and all that. This expansion has new robo type vacuums. And for some strange reason only known to a cat, Moppet preferred to sit on top of it all day. Yes all day, unless she wanted to run around the neighborhood. Then is was rolling in dead fish, bringing me home a dead pigeon. You know things cats DO. Yes that one up there ^^^ is the dead bird. I had a lot of fun just centering the camera on Moppet the cat and following her around on her little escapades. This expansion also has given us wild birds in the form of pigeons and sea gulls. Thanks for reading this first half of the review for this expansion. It is a huge addition to gameplay and we will post part 2 tomorrow. It will cover CAS additions as well as what it's like to go to the vet and be a vet. I leave you with a few of my favorite pictures of Bullet...well...being Bullet. TSR Reviews The New Game Pack Parenthood! 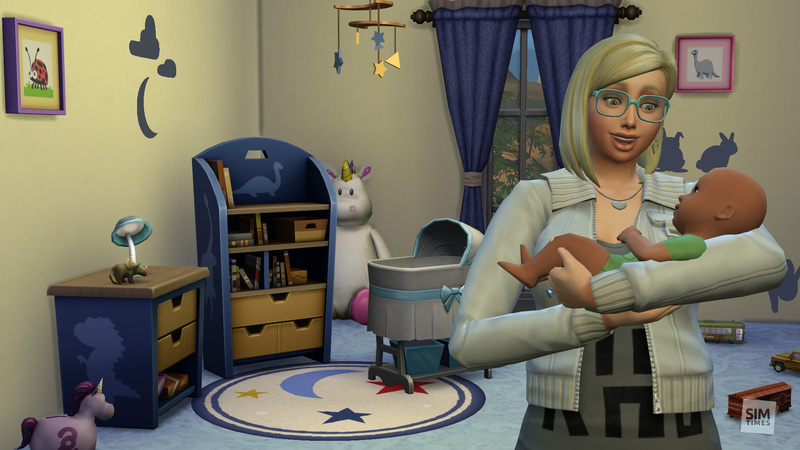 We have had the pleasure of playing the Newest Game Pack from EA for Sims called Parenthood. For game players this is going to be a really challenging and fun addition to the game. Basically it is what it says, all about parenting, bringing some realistic parenting skills to the game. A word of warning here as it will take a whole lot of game play to reach the higher levels of the parenting threshold. I played for a long time (the weekend since I got the press preview) and barely scratched the surface. (I can’t wait to finish this review to get back and see how far I can go with this). That said, the interactions are stupendous! Really immersing you into being a parent from discipline to curfews to teaching them how to behave. Along with this expansion are some cool new items for your Sims homes and wardrobe! But I get ahead of myself. So let’s start off by introducing the new trait “BEST New Parent Ever!” It is what it says and that is to be the best parent you can possibly be. You will be able to buy parenting books like any other skill book if you want to “parent up” a bit faster, but I really enjoyed trying to do it the hard way, learning from experience. I mean that’s what parents do, right? Going through the terrible two’s and then the teenagers and their moods! Speaking of which, teens now have mood swings that can be very trying for the parent. You can buy them a journal to keep their thoughts in and the teens can hide it. Like a diary. If they get really upset you can send them to write in the journal to alleviate their stress levels. And lord help the sibling that tries to get a peek at that journal. Which brings me to sibling rivalry. There are new interactions between family members that had me laughing, literally, out loud the whole time. Below is a picture of the new interactions you can see with the interactions icons. Basically the teens can lash out at their parents and cause a fuss (LOVE the forbidden words one). It is up to the parent to discipline their behaviors. All of this actually shapes the adult they will turn out to be and parenting starts as soon as they are a toddler. You have several options under parenting that include disciplines that are soft, firm and strict. You can enforce curfew, although the teen now has the option on the phone of breaking curfew to do something that they want to do. The parent better have consequences when they get home! There is a new board in buy mode you get so you can set curfews. I have screen printed some interactions with the board. The clock at the top will set itself to the curfew time you set for your children. You can leave notes for family members here as well and it seems to fill with school projects and drawings when they are getting good grades. These values are shaped by the parent’s interactions with the child (only children through teens have this). Parents have the option to teach their kids manners, to say please and thank you, and the discipline stuffs. There is also pop ups not unlike the ones that pop up for job choices (should your Sims do this thing or that thing) where you make a choice on how you want the children to make a decision. The children also ask parents for advice where these choices can pop up. The choices give you the positive and negative consequences of your answer in the trait values. ALL of this will determine which character traits the parents are forming for their children. The character points will shape what traits will be available to the child as the child grows. Children have a fun option to “make a mess” and let’s face it, children are messy. The parent can then discipline them accordingly. Oh no, looks like Kevin got into trouble....AGAIN! There is a new thing called school projects and while they are available in buy mode the kids brought them home from school fairly quickly into gameplay. They complete the projects and gain extra credit at school. As you can see here it also helps with the responsibility trait. And with that I am going to come to the new stuffs in the pack. They have added new hairstyles, clothing (Including toddler clothing), and other misc CAS stuff. New objects and a couple new build items. I'll leave this with some in game screens of the cool new stuff. LOVE this new night light ! It rotates the stars. Dining Room and misc wall items. Kitchen Stuff. Love the mason jar lights! And some new curtains. One sheer one. Kids Door front and back. Living Room. Notice the new walls. No floors this time I'm afraid. There are a lot of new CAS items for all ages. I don't want to ruin it by posting all the new CAS styles here. 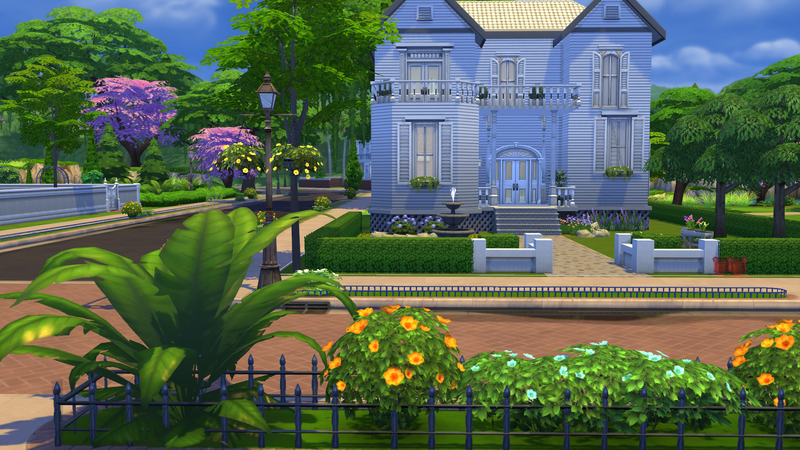 Need to leave some surprises for the simmers! I'll leave you with this thought. Every action you create as a parent will shape your child. As said I barely scratched the potential of this Game Pack and had loads of fun and laughs watching the new interactions. Discipline and learning skills for your children will be the most important thing you can do to shape the adults they become. Well all you simmers they are back! Vampires! We have had the opportunity to play and review this new game pack thanks to EA. The first thing I did when opening the game was to look around the new neighborhood, Forgotten Hollow. It’s not a large neighborhood, but it’s creepy. Definitely creepy. There are some new harvestables including Wolf’s Bane, Wild Sixam Mosquito Trap, and Plasma Fruit from trees. Yes they have brought back Plasma Fruit. They also added mosquitoes. As I looked around the neighborhood I noticed at least 2 vampire families living there. The Primo Vampire is count Vladislaus Straud the IV. I was curious as to how CAS looked with our new vampires so using testing cheats I opened Vladis up in CAS. I was wowed by the fact that each of the vampire sims has a duo look. You can add a darkform that they will change into when feeding. More about feeding in a bit I wanted to give you a peek at what our Vlad looks like. After looking around his basement, which was really creepy, I decided to have a go at building a vampire. Now what I found was a lot of new CAS items for building your vampire from teeth to ears to some creepy facial details like eye sockets, brows, and arch types. Now you can add a dark form to your new vampire or you can make his dark form the same as his normal form, as usual EA leaves that to you. As you can see from the pictures of dear Vlad he has a really scary dark form. There are a couple of new vampire aspirations as well. Under Knowledge you can becaome a master Vampire or Family you can have a vampire family. There is also one under popularity for you to be a "good Vampire" which means you would like to remain as human as possible. There is a lot of new vampire like items and objects for you to decorate your own basement (or house depending) and this does in fact include coffins and spider webs. One of the neat things they added was decals for the walls to make them look like they were pealing (Why didn’t I think of that). They also added hanging garlic for your non vampire sims to keep the vamps away. Vampires are very uncomfortable with garlic and have to get away from it. The garlic actually fumes. If you want to keep the vampires away then hang garlic. They can woohoo in the coffin and when they do I find it hilarious. The coffin floats and has smoke, bats and hearts flowing from within. When they are done the coffin spits them out. You have got to see it! They can also try for a baby. If both are vampires they will have a vampire baby that seems to look normal in the beginning. There are new “Vampire Powers” that you obtain by earning vampire points, which is where the tomes came in. The more points you get and with each level you can earn a perk of your choice. Like turning others into vampires, or mesmerizing the mere human, or walking in to anyone house uninvited. But beware, for every so many perks you have to take a negative hit like not being in the sun long, sleeping only in a coffin, or hissing uncontrollably in public. To turn your neighbor into a vampire you have to earn that in your vampire power points. You must choose that as an option when you have enough points. I did and turned one of my neighbors into a vampire. The human becomes very uncomfortable during the 3 or so sim days it takes for them to turn. Once they turn they do a quick dark form transfer and quickly correct themselves. One of the funniest thing I found is after they “compel” a victim for a deep drink the victim passes out on the floor. Beware if you do this in a public place you get a lot of negative moodlets all around you. Like vamps of old it’s best to stalk the victim and find them alone if you can. I think the most fun I had was earning the right to be a bat. You can fly as a bat anyplace you wish within any neighborhood in the game. It was great to watch and they even have smoke and such when they take off and land just like you would expect. I played this game for 2 days straight and I barely touched the surface of what they have added. I look forward to playing some more to unlock all the wonders this game pack has to offer. I have to say this game pack is turning out to be a lot of fun. Have fun with this! TSR has gone to the screening of the New EP **The Sims 4 City Living** and let me tell you for game play this will be one of the most fun adventures you will have in your Sims 4 life. 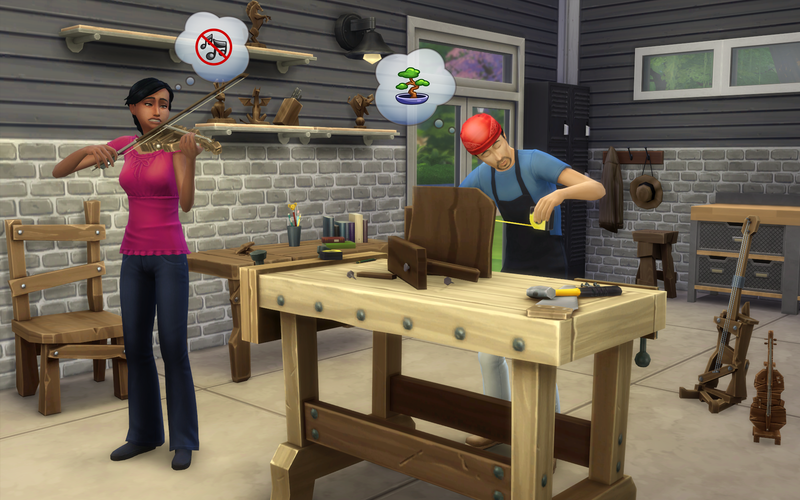 This is a huge change to game play that gives your Sims such a wide variety of things to do! I don’t even know where to begin. First you will get a whole new neighborhood called San Myshano with sky scrapers and 4 neighborhoods. You have the Spice District, The Fashion District, The Artists District and Uptown. All these districts have different festivals you can attend but more about that later. This is about apartment living in the big city. The artwork for your landscaping is stunning as you can see buildings in the distance from your “High Rise”. There are 3 new careers Political, Critic, and Social Media. They are all careers away from home with home interactions you need to do to advance. I decided to play the Social Media route and I loved the fact that when time for work I received a notice on my phone that asked if I wanted to work from home or go to the office. Working from home gives you goals you must achieve during the “work day”. I am well on my way to becoming a Social Media Star! There is a new aspiration called City Native where you are a city person wanting the city life. One of the big changes I think is rather cool is being able to sell home made stuff in the streets. Yep that’s right! You can take those paintings you so painstakingly made with your soul and sell them. Now you may get someone wanting to “haggle” the price but it’s a good way to see if you are really as good as you think you are! As with Any type of city living it’s crowded in the streets. Well, crowded for Sims, and it’s nothing to see a living statue posing where you can watch and wonder how such talent is possible! 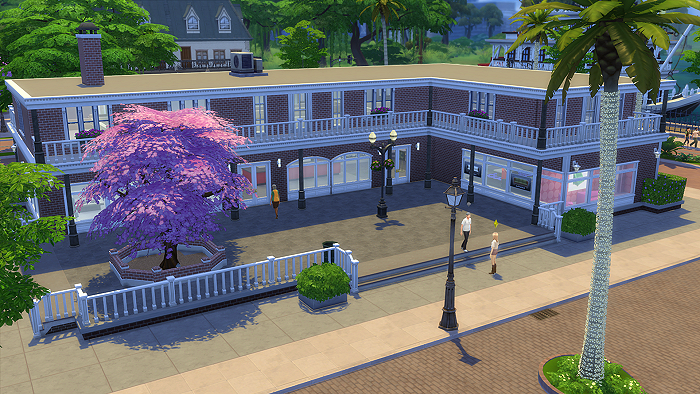 Lots in this EP are apartments something like what was in Sims 3 Late Night. According to Grant Rodiek they learned a lot from that EP and wanted to expand what it would actually be like living in an actual city. Food Carts and kiosks are scattered throughout the world featuring all sorts of different food for your Simmies to try. With all this there is a new way for your Sims to die. Puffer Fish poison. Beware what you eat at those public kiosks! What I find very interesting is the way they set up this world. It’s like living on the west coast of the US with earthquakes, that right I said earthquakes. Your Sims can experience an earthquake at any random time. I tried to get one in my own game but nothing has triggered yet. I am looking forward to seeing what happens! Each Apartment has attributes visible before you purchase the lot. Is it haunted? Is the building quiet? Or is this party central? You will be able to tell before purchase. All Landlords are NPC’s so you don’t own the building. All ghosts are random hauntings. Your neighbors can become noisy which can make your Sims angry and unable to sleep if at night. You can pound on your neighbors door and give them a piece of your mind about the noise. I found this hilarious. My Sim stomped over in a huff and pounded on his neighbors door. Priceless detail to living in an apartment complex. Your neighbor may smell a meal cooking and ask to be invited in a not so subtle way or want to hang out. This is where I found locking the door invaluable. I mean who wants their neighbor in a towel running around your apartment? But funny none the less! There are new clubbing rules and getting in can take time. I had not gotten this far yet so all I can say is that this is a new interaction. On to Festivals. Each neighborhood has a festival it sponsors at any given time. It’s pretty random when they pop up but if you choose to go your Sims will be sure to enjoy the festivities. I went to the “Humor and Hijinks” Festival. At this particular festival you had a dark tea or a light tea to drink. I had the choice of joining the jokesters or the pranksters at which point they kept score as to who did the best prank or joke for the festival. Lots of Sims socializing with this. The pranksters set off hand buzzers and the sort. Voodoo dolls were for sale at this, just really a fun time followed by fireworks. There are 5 festivals including the flea market where you can sell old junk you may no longer want. Some Sims junk is another Sims treasure or so they say. Grant Rodiek said he liked the spice festival best. And basketball! They have brought us basketball in Sims. A few pictures of new content are included below, not everything because I certainly don’t want to spoil the surprises EA has made for you! The EA team said they wanted for our Sims to have RL experiences and they have certainly done this in a Sims way. Bravo EA! 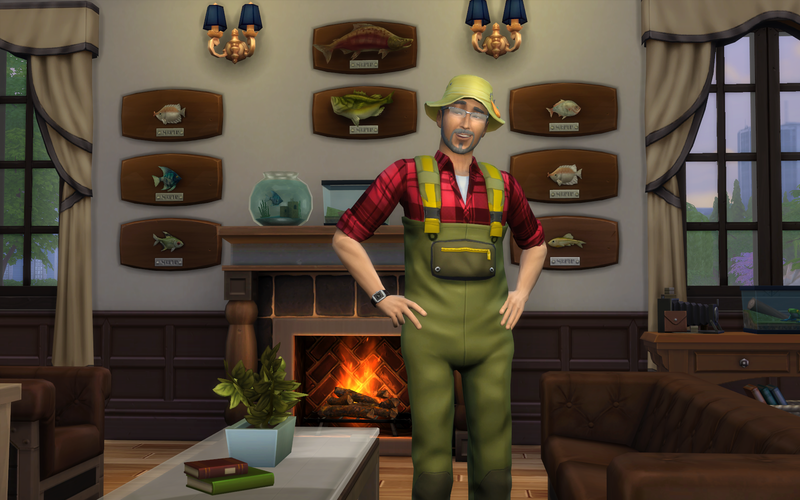 The long awaited first Expansion Pack for The Sims 4 means another visit to EA Games to get hands on with "Get To Work". But I'm thinking to myself, with so much detailed information already released about the new Active Careers on the recently released videos, what more can there be for us to report back to our communities that isn't already public? Well, not much really, as far the headline features go. There was also the niggling issue that the embargo for content gleamed from these fan events that have been happening around the globe the past week happened to be during our time at EA, so we were behind all the other sites that have already posted their reports, but hey ho. I'm going to break from tradition (which is actually traditional for me), and not even try and cover this whole pack with the limited time of around 3 hours that we had. Instead I'm going to focus in great detail, on two of the aspects of this pack that I'm really drawn to. But first, my overall opinion of 'Get To Work'. I'm not being all 'fanboy' here and just 'bigging up' another EA product because they invited me along. I am genuinely excited that in effect, one of my favourite EP's of all time, 'Open For Business' from Sims 2 is back with an awesome update! But at the same time they have also bought something completely new to the game which also solved one of the problems that OFB solved. 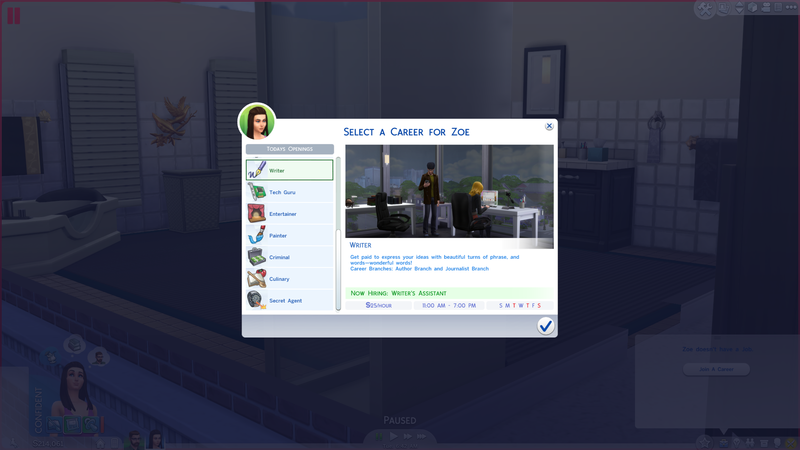 That is of course, the very much requested ability to not only follow your Sims to work but to influence their careers too. So this pack for me really does offer value for money, with something old that we loved being bought back bigger and better than before, and something completely new. 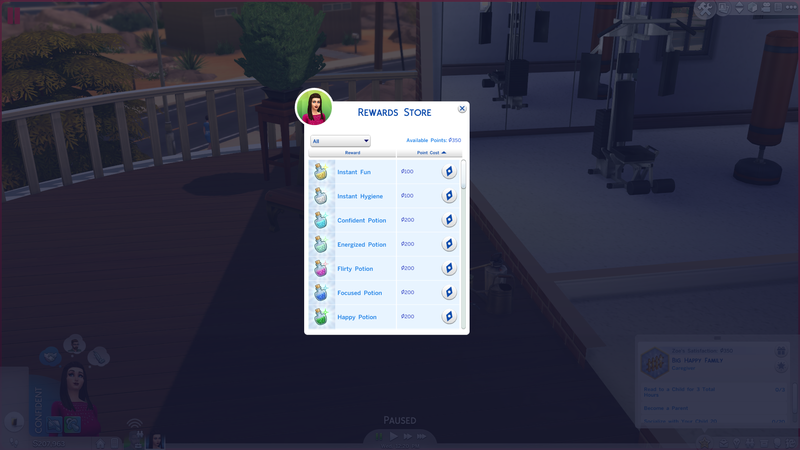 I expressed to SimGuruAzure that I hoped all Sims 4 EP's would follow the same trend of old and new, but as she didn't take bribes we'll just have to wait and see on that! More of the old making a comeback with bells on are Aliens. Abductions and alien pregnancies are a given but there are many new elements not seen before too. Basements also make their return to the game but will actually be included in a free update to coincide with the EP release, so you get 2 floors of basements as well as an additional above ground floor, making 6 storied buildings possible. There are other great preview articles around the community that have focussed on the new Active Careers so from here on in I'll be concentrating on two things that will have a major influence on the way I play my game, and they are the new Retail System, and the Baking Skill. In Sims 2 I combined the best bits of Open For Business and Seasons to create a Farmers Market complete with huge greenhouses so that my stay-at-home Sims could harvest tons of fresh goods to sell in their shop. With Get To Work's addition of the Baking Skill and the already excellent food system of base game, I'm a man on a mission to recreate this in Sims 4! Azure explained to me that the introduction of the Baking Skill was to allow players to make better use of the fresh produce available to them in the base game. And if you are thinking "why baking when we have cooking" then let me quote the tooltip for the Baking Skill: "Baking is science in action. You can't just throw random ingredients into a bowl like some chef. You have to have a plan!" Fortunately, that plan involves a large helping of sugar! 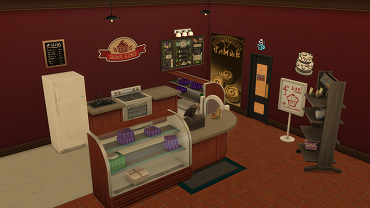 Some essential objects will help with baking in the Retail System like the Cupcake Factory and the Warming Rack, which are used to store baked food items. As Sims progress in the Baking Skill they can add toppings, frostings or piping (at a small extra cost), to add quality and value. The Retail System is more advanced than the old OFB model. Sims won't just rock up and buy stuff, they need to be 'sold' by yourself or your staff. The number of customers visiting your store will depend on the store's kerb appeal. You can purchase advertising to temporarily increase kerb appeal, or place retail and neon signs for a more lasting impact (you can view your kerb appeal from the 'financial report' on the cash register). When you set up a new business you will need to add some funds to it from your family funds balance. Each store you own has its funds managed separately to cover its expenses and actions, such as building, placing items, restocking, paying staff and advertising. Stores can also go into debt where they can then not reopen until you transfer in more cash from your household funds. Likewise, profits from a business can be transferred out to household funds at any time. Display units can be placed in a store (including freezers for perishable goods) where items placed on them will automatically be set for sale, unless you specify otherwise. Craftable items can be copied but will sell at a lower value. Copies of copies will sell at an even lower value still, but can help maintain a supply of goods. Employees have 3 different skills that determine how well they will work: Sales, Maintenance and Work Ethic. Sales will influence how they interact with customers and how quickly they can ring up sales. Maintenance is about how quickly they will restock items and clean, while a high Work Ethic means a Sim is less likely to slack off during their shift. If you do see staff playing with their phone, socializing with each other or goofing around having fun you should use the 'berate for slacking' interaction on them. You could also fire them. 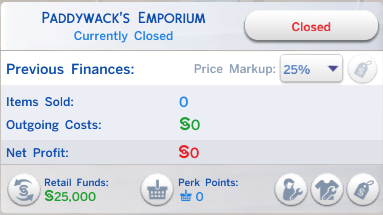 You can have a maximum of 3 staff per store, unlocked gradually as you acquire Perk Points from sales. I wish I had more time to delve into creating and running a business at the event but then again, it's given me something to look forward to when I get my hands on the game on April 2nd (U.S.A. are lucky enough to get it March 31st). I have a sneaking suspicion that many of you will be looking forward to the same additions to your game too. You can of course create a Photography Store using the new Photography Skill, an Art Gallery, Clothing Outlet, Furniture Store or almost anything else. Feel free to share your thoughts on Facebook, I'd really like to hear what you will be doing with your Get To Work's stores! And I already have a list of needs for our awesome Featured Artists to create for me to build my retail empire, so check back here to get your mitts on some essential retail CC soon! I make no excuses for missing out loads of the new stuff this EP brings in the time I had. There are plenty of other reports around the community, some specializing in other areas. I urge you to go visit them if you need any more convincing on this product! Here's to the first Sims 4 EP! Right. FA's... Gardening and Store stuff please!!! The Sims Resource are proud to announce that we are Alpha testing new objects for The Sims 4 using our developing tool, Workshop. As we invite our audience to start downloading this content we would like to remind everyone that objects are in their Alpha stage which means they may not always work as intended with certain new aspects of the game like manipulating rooms. We welcome any feedback that can be useful in getting these objects to the Beta stage which means telling us about any bugs or problems you may experience with any of this early content (please use support or forums). All objects are being reviewed by testers before they are published, but we cannot be held responsible for negative effects on your game. Remember that none of these items contain game changing code like hacks or scripts and can simply be removed by deleting the .package file from your Mods folder. TSR has always been a nurturing ground for some of the best Artists this community has ever seen, where many have started out as beginners and over time honed their skills and gathered thousands of fans and millions of downloads. The very best are recognized as Featured Artists (FA) and Select Artists (SA) here on TSR. Time to invite new Artists! The Sims 4 has just been released and as with any new game release there are no Artists already invited to our FA and SA teams for the new game, giving everyone a fair chance to receive the recognition and perks that comes with it. You get a free VIP membership. You get a unique FA or SA Badge on your Minisite indicating your status on the site. You will be listed on the Featured/Select Artist lists, making it easy to find you among the hundreds of other Artists uploading here. You get the rights to self-approve your Creations and choose your own publication date in our Submission System. FA/SA creations are always granted the best spots on our front page. Our millions of visitors can filter out FA/SA only Creations in our vast Downloads Archives. Are you good enough to make money? If you are good enough to receive a promotion to Featured Artist you will begin to earn money from creating CC for the game you love. We pay fixed upfront fees based on quality and creation type - some of our best FAs earn several hundred dollars per month from what is considered a hobby! So how can you take part? In order to participate in our first Artist Draft set for October 1 all you need to do is submit your Sims 3 or Sims 4 Creations to our site using our Submission System (launching September 5 for Sims 4) here: http://submissions.thesimsresource.com. Our Artist Panel are always keeping an eye out for talent so don’t worry about not being noticed! You are free to use whichever CC Tool you feel most comfortable working with and your Creations will always remain free to download for everyone at all times. TSR Workshop for Sims 4 will soon be released to the public and allow for the creation of Clothing and Hairstyles with custom meshes. In the following months we will release new updates regularly as we unlock more Creation types such as Objects, Makeup, Skin tones and more. Our Skype Chatrooms are already bubbling with activity among our resident Artists and many are currently playing with the game and CC. We are hard at work improving the site, creating a great Wiki resource with CC tutorials, developing TSR Workshop and building a unique CC Manager Tool to help you organize your Downloads - just to mention a few things you can look forward to in the coming weeks! We look forward to welcome the first Artists to our FA/SA teams on October 1st! We start today continuing a bit with some game pictures. Yesterday I was waiting for my personal screen shots from EA. Now that I have them I wanted to share my very pregnant Sim. There is actually an option for a pregnancy test if you think your Sim is expecting from the toilet. You can tell by her plumbbob that she is not comfortable. And no it's about impossible to fix until she has that kid! 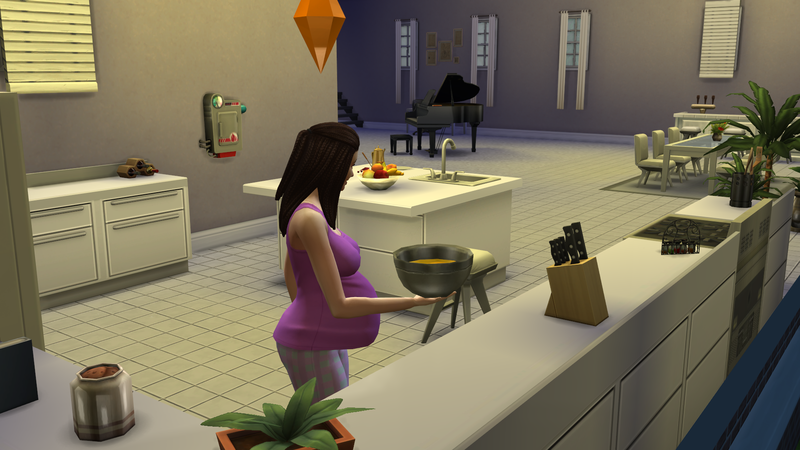 As you can see improvements have been made to just what a pregnant Sim looks like. By the second picture she is over pregnant and really, really not comfortable. All clothing is adjustable and becomes maternity clothing as soon as they start to “show”. Thought I would post the picture of the baby. Yes our bundle of joy FINALLY made an appearance. You can bottle or breast feed your baby. Breastfeeding brings up the familiar mosaic blur,but the option is there when you feed them. So now finishing up with that little tidbit we move on to more game play. I mentioned a bit about the children and options for them. The Base game for Sims 4 has a lot of things for a kid to do. As said before they can gain skills on musical instruments which include the violin, which is kid sized, and the piano. I love that face. He is scrunching his face at the sound of his playing. That teddy bear in the background can be interacted with by the child. They have all sorts of outdoor activities, some being interactive with adults. My favorite has to be the pirate ship. 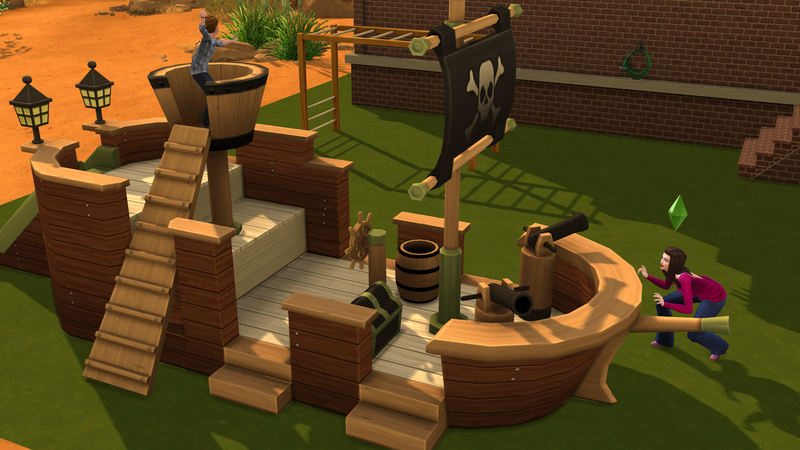 They walk the plank, climb throughout, and parents can interact by being a “sea monster”. It was very entertaining to play. Kids have homework before the first day of school so be sure to have them do it before they start to progress their grade faster. It’s in their inventory. The transition from Baby to kid is done via the bassinet. I ran out of time to be able to see them transition to teens, so sorry I didn’t have more days to play. There is just so much to do and explore that 4 days of play is not enough. I made 3 families to play with as I wanted to see how the neighbourhood and world works doing some multi tasking of my own. You can easily click on active households to play. So generally it is very easy to play several families at once. While it has been confirmed there is no actual story progression , you can turn aging on for the neighbourhood. Seeing the ease of playing several families by switching households and having more than one active in the neighbourhood at a time, you can pretty much make your own story progression. As you can see I have 3 green plumbbob lots all of which I played back and forth. If you look at the icons the first 3 are play, build/edit/ and an options menu for that lot. In the second set of icons you have the top one which is where you can travel anywhere in the neighbourhoods and a move option. You can move part or all of your family. You can also travel via your phone. There are 2 worlds each having 16 playable lots which you can customize, bulldoze and make your own. That means 32 lots to choose from if you want to redo the entire thing. This does not include community lots already there. There is NO limit to objects on lots. Objects can be put on lots as much as you please. All objects seem to be available for both community and regular household lots. No separation of object sorting. You can go from neighbourhood to neighbourhood using both community sections for both worlds. You can have friends in both worlds. If you wish to move your Sims to the other world you will not lose any friends or family ties. You can still travel to or phone family and friends from either world. Each of the sections you see in the world is a neighbourhood. Each neighbourhood is like an open world but you cannot travel past your neighbourhood without using travel options. It does prompt a loading screen, but it’s not a big deal, very short loading times here. The game runs smooth and I suspect it’s because they split the neighborhoods this way. You can change lot types to residential or commercial if you wish to have more neighbours or more venues. There are no rabbit holes in base game. Since the travel to worlds is so seamless I personally think I will make one world have most of the venues and one world be nothing but lots. I can do that if I choose. Sims die via starvation, some extreme emotions, fire, old age and electrocution. Starvation is very hard to achieve and I suspect it’s because they have made these Sims smart. I didn’t get a picture of the Grim Reaper because no matter what I did to starve them, they decided to eat. From what I have seen from other simmers at camp the Grim Reaper comes with a tablet. Also didn’t notice any ghosts and not enough time to play to try to produce one. So I cannot confirm or deny their existence. Sims VIP has a great Video and write up here about the Grim Reaper and Death. There is a night club and yes you can be a comedian. You can travel to the venues the same way as you travel to any other place via phone or in the neighborhood screen.This guy was bombing on stage and no one would pay attention after a while. 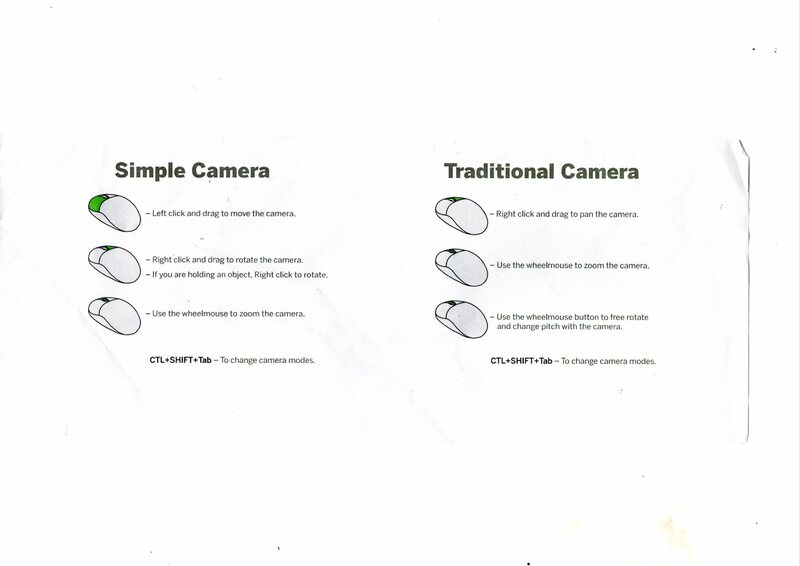 There is a photo of 800 of the objects as posted by ehaughts58 who says there are at least 1000 objects. Check out his pictures of the worlds. Very nice. Not paying bills this time does not bring the repo man. Nope no repo man. They just shut off your lights and water until you pay the bill. Too real....Here are some random screens I took in game.. In closing and before answering your FB questions I would like to stress that I had a lot of fun playing this game. And that’s what it’s all about the fun of it. There has been some community postings of concerns about Sims 4 and I ask that you remember that this is only a base game. Historically not everything comes with base game. With every Sims Series you get a brand new game with a different way to play from the last. The Sims team does read our comments . So while you may not see something you want, voice what you would like in a positive way. They do listen. There is also us here at TSR who will strive to get you CC as soon as we safely can. You’ll love the game, trust me. John Alves - I possibly have the most original question! In the previous games, I am talking from the Ambitions expansion pack mainly, but will The Sims team, when putting minds together in terms of future expansion packs, will we be able to go even more in-depth of our hobbies? Since a NEW Sims game is coming to the franchise, yes, I can see my Sim kicking the ball, doing different animations, but I would LOVE to be able to control my Sim, in doing different animations, like if he's kicking a ball, to be able to get a power/accuracy bar with the ability of kicking it as soft or as hard as I can... Also, when I feel like my Sim is good enough, he could then be part of a soccer league, to where not only his abilities in soccer playing would improve but him making new friends as well... Also, the chess tables... And I have been commenting on this since Sims 2, but instead of us just being able to see our Sims play chess, with the animations, shouldn't we be able to do their moves for them? Like, it being an actual chess game? That would be MUCH MORE exciting! These are just a few examples I would like to see in a future expansion pack, no matter how long it would take to make, could we expect to see these changes sometime in the near future? Or does this sound like something that Sims 5 would have? Kari Knibbs - There have been so many mods that enhanced the sims 3. Have the creators of the sims thought to take inspiration from those when developing the story progression and how NPC sims function. I would love something like Master Controller build in. Tammy Grimshaw-Winner of a Dragon Valley World - Where do the creators get their ideas and visions for their creations, especially clothing? I asked that question of SimGuruLindsay who said they get it the same way us CC creators get it. Watching fashion articles, the internet and magazines. They try to incorporate those ideas into the game. 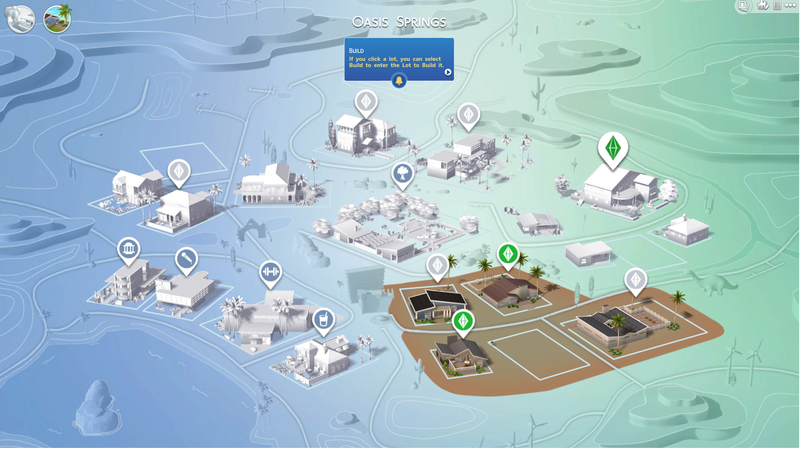 Kari Knibbs -Winner of the Barnacle Bay World - how will the loading screens effect sims that are left behind in the house lot? In the sims 2 when you would travel to a venue the time would keep going but when you got home the time was the same as you left. As far as I noticed the time moves right along. So that if it's night when you leave the venue and get home it's night at home. Ashley Cummings- Winner of a Plumbbob Headband - I'm wondering if the height of house or as most know the limit of floors, has been improved? In Sims 3 the max was 5 floors, so any idea if the limit is removed in Sims 4? Lauren Burpee-Why won't I be disappointed by this game? I played for 4 days. I had the same attitude as I am a creator and that is the fun for me. However after I established my families and played for a while I was stunned by the facial expressions and interactions of my sims. I am blown away by the gameplay and I think you will be too. 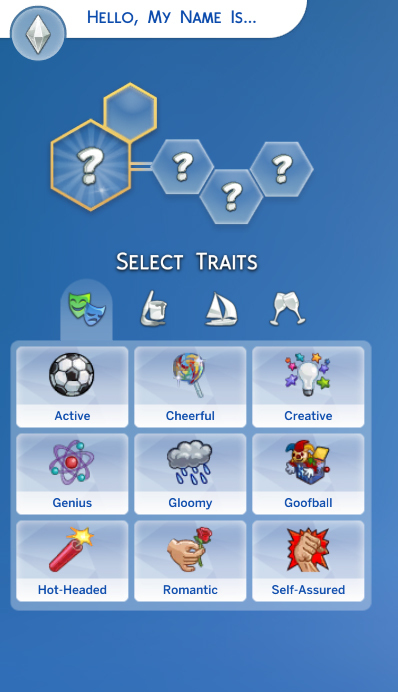 Ashley Cummings- Can the Sims get depressed in this new version or go nuts ?Will there be new Traits? 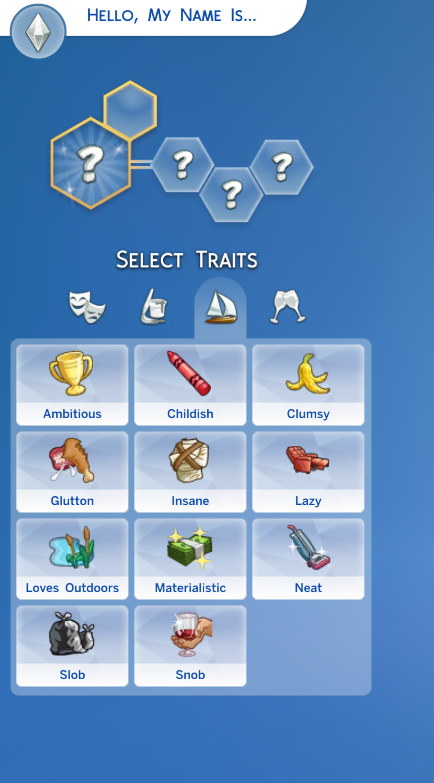 There are indeed new traits from previous Sims Games. They can get really emotional and yes all of this is possible. I'm afraid there are no height sliders included in base game. If you are speaking about the demo that is just a "taste" of what will be shipping with base game. Many more options will be available. Kari Knibbs - What are the cheats codes? lol Will it still be CTRL+Shift+C? Still ctrl-shift-c and at the end of questions you'll find what is shipping with base game. Fabiola Mo - I want to know more about the school system for kids and teens. Like prior series they go to school, you don't go with them. Kimbo Ras - What expansion packs should we anticipate? I tried to get this one and they would not talk about anything but base game at this time. I am sure we'll find out soon enough. Missie Napier Ward - Will we be able to create our own neighborhoods to add to the game? Not with base game at this time. All of us at camp expressed the strong desire for this when asked. So I suspect they will be looking into it for the future. Lorena Loza - What can u do with babies can u do something special? There is a lot of interactions for babies. And for those of you who want a kid right away no cheat required to age them up right away and still keep the genetics. Brenda Reginelli- I want to see different furniture and patterns for decoration and building purposes. That's why you have TSR! Scooter Renee - Will you see the sim get into the car. And can they go in all the buildings. To answer your question about cars. No I did not see any usable cars although they do drive in the neighborhood. So I suspect cars will be added later. As for the venues, there are no rabbit holes this time so all buildings are accessable. Elle Caumont - Will Sims be able to have a home business like in Sims 2 - have their shop next door or downstairs - please let it be a yes. 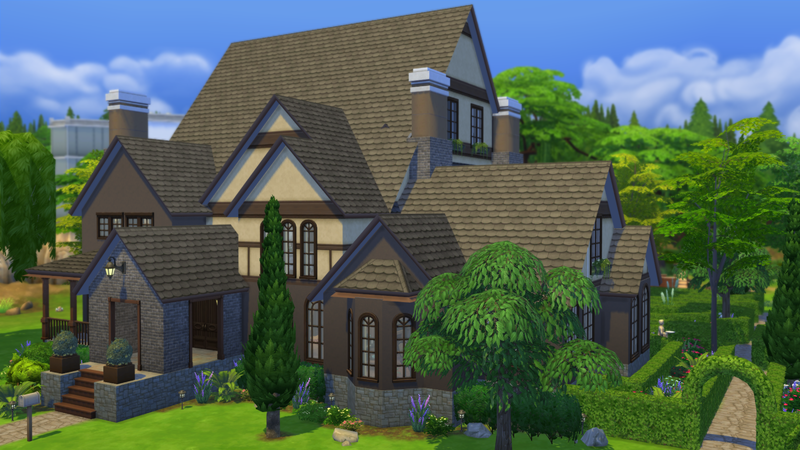 Nerissa Reddick - Can we go from house to house like in the Sims two with out changing the main household and risk the other families moving out, having kids, or drastically changing your game like they do in sims 3. 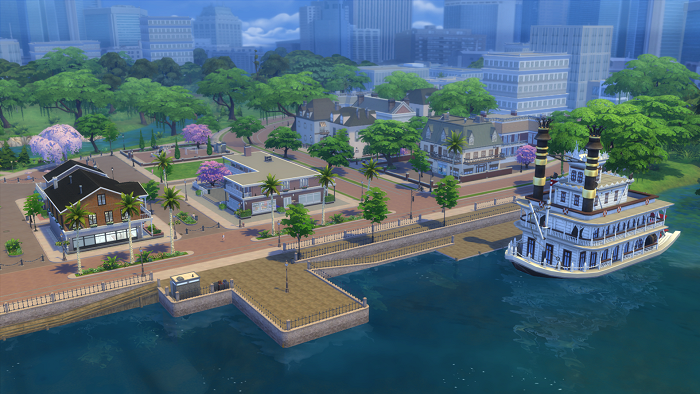 I don't mind a little change, but I loved building a neighborhood of families to play rather than just the one. I did not notice sims moving out and switching between households is much, much easier now. Lauren Burpee - Will there be integrated online features? For example, Can my friend be my neighbor? Not in the base game. Base game will be stand alone. 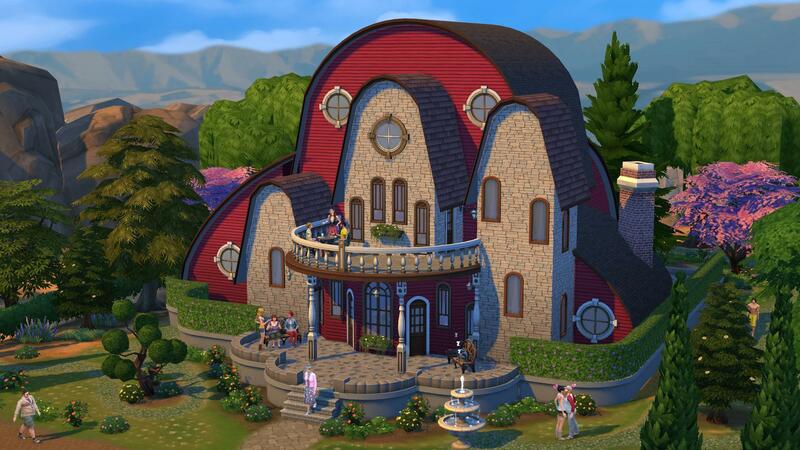 You can, however share households on the gallery. But nothing like simport. Наталля Арлоўская - Do you know if we will be able to have the same amazing CC furniture that TSR has for Sims 3? You better believe it! We are going to be on top of that for sure. Donivan Johnson - Will our sims be able to go to the shops to buy clothes or do they already own it all in their wadrobe? It's already in the wardrobe. Katharina Dahringer - Will sims4 have weather? Not with base game. Historically we get that in expansions. Petra Poje - Gardens, how will gardens work? Gardens can be planted in the boxes and containers. You will also able to plant in the ground. It works like it does in Sims 3. Fabiola Mo - Can males have pregnancy in The Sims 4 ? Not yet that I saw no. Leonie Sibilska - why did they make Sims 4 so cartoony it make me not want to buy it, I think this is more of a downgrade to Sims 3 as a pose to an upgrade, who agrees? Наталля Арлоўская - Will there be supernatural species? Cheryle Gough Grylls - Still would love to know if they have split level building and L or U shaped stairs. This is a no on the stairs, however the build tools are very flexible for sunken livingrooms and high walls. Ari Crevan - Even if they dont have pools can swims go swimming in lakes/oceans or something like that? 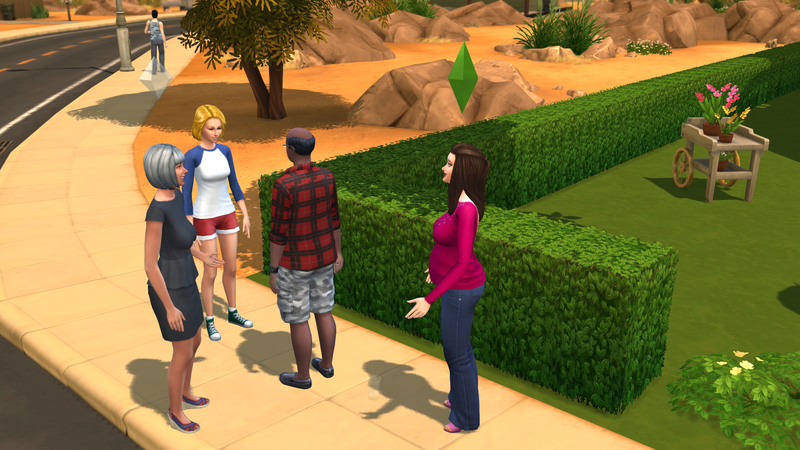 Kelli Williams - Will there be more active Sims in the community to interact with? I always hated that, I could go to a venue in Sims3 and there would be no other sims there. No matter how many people lived in my town, everyone would gather at one or two different locations at a time. There will be a lot of up close and personal interactions in Sims 4. They basically have made it so you no longer have Sims tapping their feet until another Sim goes through a door or hallway. I went to the venues and there were already plenty of people inside. So as you can see the class was a bit technical for me. **who struggles through screen shots** #epicfail. Next to take the stage was Sim Guru Grant Rodiek. So on to the one thing that makes Sims 4 a cut above any other series they have done in Sims. The emotions. Now in talking about the emotions lets go back a bit to yesterday. I mentioned that they did not include the random sort with picking emotions. This is key to you as a player. What you choose when making your Sims will have a huge influence on your Sims Experience. A specific word used was algorithms. The intertwining of all the aspects of traits and aspirations. Let’s start with a few definitions. These pictures are from the demo and not the actual game, but it’s a good representation to what we had in game. 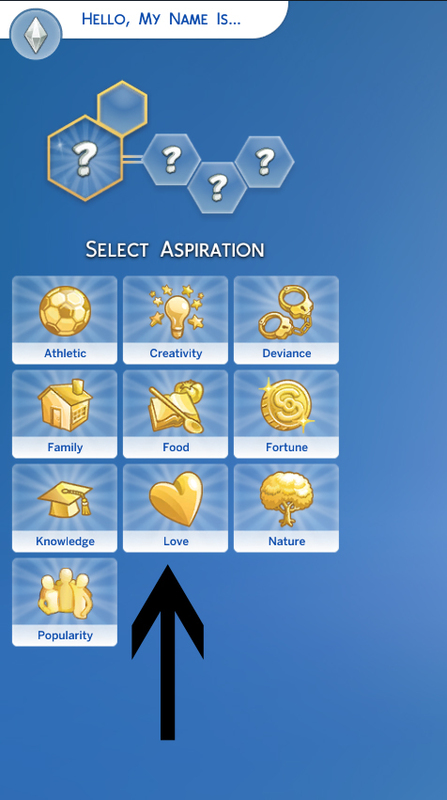 The aspirations look like any other Sims game in term of definitions but don’t let that fool you. These are vital in the way they interact with their neighbours and household. 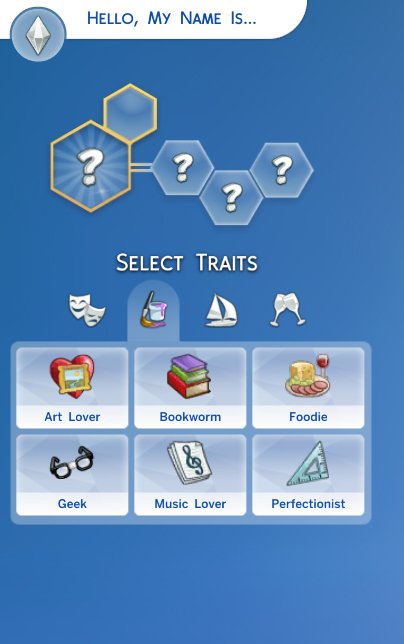 Combining these with the traits section makes for some very interesting game play. These main aspirations all have branches so you may choose a specific aspiration with respect to the category. Choosing these wisely determines how the traits will be handled. I personally chose my traits first and then determined from those how I wanted to handle the Aspirations. It can mean the difference between a happy Sim and a miserable one. · Geek-Get tense when going long times without video games. Sci-fi makes them happy. · Perfectionist-Cannot stand to create anything that is of low quality. · Clumsy-These Sims are very forgiving when they fail. They don’t ge3t bad moodlets from Failing. Not good at athletics. · Insane-They talk to themselves which tends to get funny reactions from other Sims. · Lazy-They hate exercise and household chores. Better get a maid with this one. · Materialistic-This Sims will want to show off possessions and gets annoyed when they don’t buy something new for a period of time. 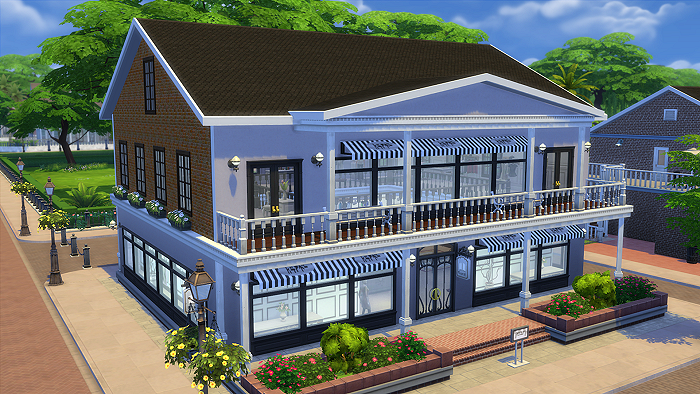 · Snob-The Sims benefit from being around other snobs. Will not have any fun watching TV that they consider beneath them like fishing. · Evil-Become angry interacting with good Sims. Discusses Evil Plans with other Sims. A schemer. · Family Oriented-These Sims have special interactions to boast about their family. They need to spend time with the family and get negative moodlets when they don’t. · Hates Children-can be mean and nasty around children. In a bad mood after try for a baby action. · Non Committal-Have special interactions to discuss fear of commitment and likes to quit jobs as well as relationships often. 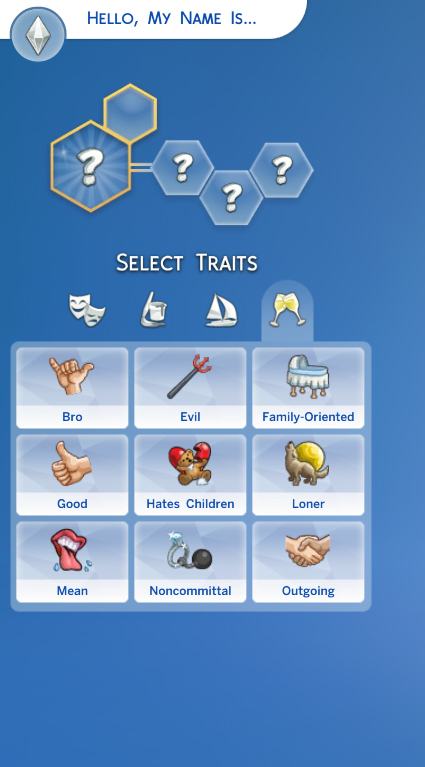 Now these traits look familiar to any other Sims Series, but looking closer at them you can see by the definitions how they may interact with each other. It makes for a hilarious game play. You won’t see this right away rather when you start playing and interacting with neighbours and family over a few days. Get a feel for how to pay your Sim. I never ever play Free will when playing Sims, but I found myself needing to play free will in this series. 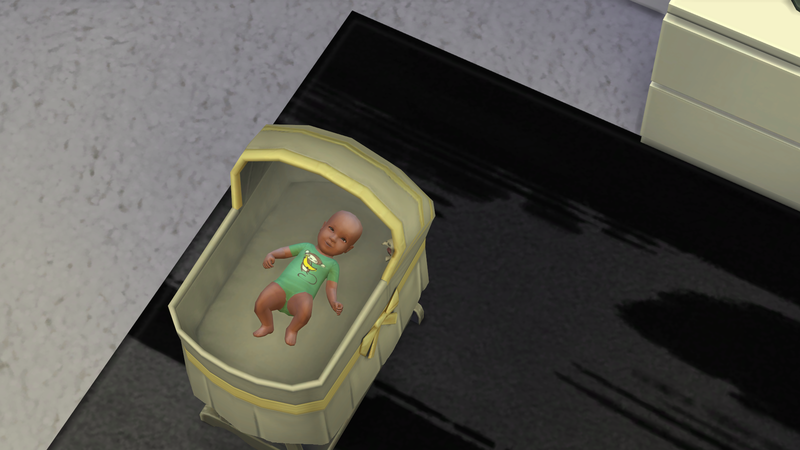 With that in mind I wanted to get screenshots of the babies for you all, so with my mind still stuck in Sims 3 I began giving the Sims traits sure to get a family. I gave the Mother the family aspiration and branched that off into the big happy family option. The Father I gave a family aspiration as well but gave him the successful lineage. I put them together and started immediately trying for babies. It started off a bit slow, but the more they woohooed (we weren’t getting pregnant) the more hilarious it became. It was non stop (we don’t have a lot of time to play here) woohooing until I could get pregnant. By the 4th time the Father shouts out WooHooHooHoo and does a dance and grabs her for another go round. Oh good, now looks like we’re pregnant. But She wouldn’t stop, I had to force them to stop she wanted more and was having way too much fun. But alas..we do need to earn a living dear. Now I finally got him off to work and, leaving on freewill, watched what she would do. She talked to neighbours outside her door. One neighbour made her mad, he hates kids. She brought another one in to see the new crib, then they ended up socializing for hours. She was a neat freak so she was picking up things and continuing to socialize. No sooner did the father come home from work all interacted with each other. The neighbour left. He was in a bad mood as his geeky trait meant work and no video game play time. So he fired up his video game and told her about his day while she cooked. And on it went. The emotions drive them in a way that’s hard to explain until you play the game. They were multi tasking. It was fun to watch. Not only were they multi tasking but their faces were changing with each emotion showed. Not a generic change but facial expresions. One of the nicest changes is that as a child grows you can change their aspirations like real life. We all want to be a fireman when we grow up but rarely do. Same applies here. I think this is a good change. And with that we’re starting to tread into the waters of game play. There are a lot of things to go over with this as there is so much to do in Sims 4. We can start with Careers. Each career has 2 branches. Kind of like in Sims 3 where you can go 2 ways in music and entertainment. So that when you choose a career you need to be sure which branch, or path, you want to take. Again this relies heavily on the traits you have chosen for your Sim. I chose the wrong geeky path in the tech guru branch and my Sim hated work. I left my Mother Sim at home and she wanted to work and was most unhappy. The bookworm trait had her wanting something in that type of career. So again trait driven and emotionally driven. And I don’t mean emotional like wants in the Sims 3 I mean downright making faces when they think about it. Each of these has a sub Branch so that you have 2 path choices. For instance the Astronaut has the paths Space Ranger or International Smuggler. Entertainers can be Musicians or Comedians. Yep that’s right Comedians. There is stand up comedy at the club. Always Welcome Sims will act more at home when at others’ residences, and the hosts won’t mind at all! Insta-Large (750 SP) – Drink this to become a bigger you! Mentor (1000 SP) – Once Mentors reach Level 10 in certain skills, the Mentor interaction becomes available and they can help other Sims improve their skills even more quickly. Morning Sim (1000 SP) – Morning Sims build extra skill in the morning. Night Owl – (1000 SP) – Night Owls build extra skill at night. Speed Reader (1000 SP) – Speed Readers read books faster than your average Sim. Free Services (1500 SP) – All single use service requests are free. Marketable (1500 SP) – Marketable Sims sell items they’ve crafted for more Simoleons! Creative Visionary (2000 SP) – Creative Visionaries have a higher chance of painting and writing masterworks. Frugal (2000 SP) – A Frugal Sim’s household has reduced bills. Great Kisser (3000 SP) – Great Kissers have amazing success with kissing, and increase Charisma with every kiss! The one thing they gave us in base game that makes me happy is the ability to plant a garden. You buy the containers and from the containers you can purchase starter seeds. You tend the garden as usual watering and such. 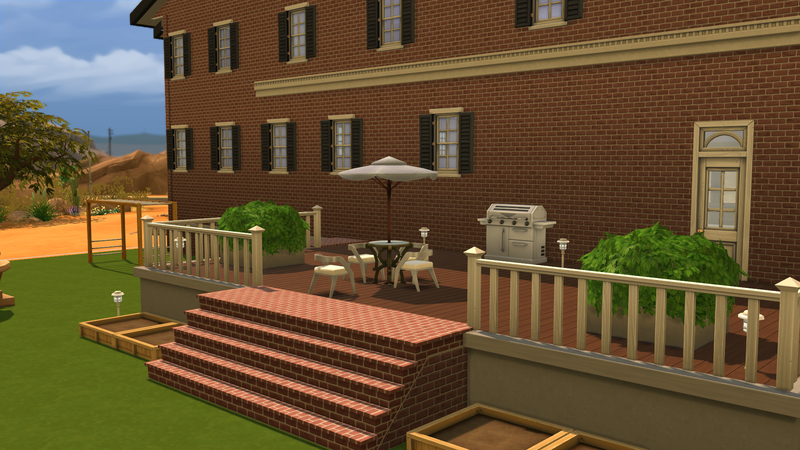 It’s a great fun thing to do for Sims with the love the outdoor trait among others. Now the plants look really nice in the garden, I could see my retired elders having a lovely garden to take care of. You can harvest the fruits and veg for recipes later. Another thing they are including in base game is fishing! So from out of the box you will be able to fish and gain skill for it. Sims gain skills just by doing in Sims 4 so that you can gain skills by everyday activities like playing computer games and cooking. You still have learning from the TV and books. 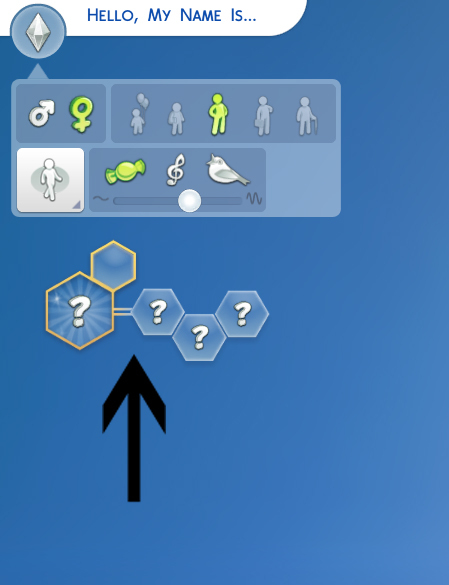 I found it delightful that there are new skills to go along with the new emotions and traits. Skill books include Mischief and Comedy. I was really interested to find out how these played out. Unfortunately ran out of playing time. Generally when you buy from any storage unit it gets placed in the Sims inventory until you have them put it away. So if you buy a book from the bookcase check your inventory for it and have them put it away so all the Sims can use it. Skilled Sims can mentor other Sims to gain skill. There is also a work bench shipping with base game that they can gain the handiness skill with. Upgrades to appliances and plumbing gives positive reactions to Sims having certain traits. Décor objects also have attributes that you can turn off and on to gain room moods. Like when you see a painting In Sims 3 that has a décor bonus of +++ and in Sims 2 when they rated the room 10 points. This décor feature sets the room “mood” . It inspires them. If your Sim is inspired they will perform better. They can get inspired to exercise, paint, create and more. You can click on the décor to turn this ability on or off in a room. Only certain Décor objects have this so you’ll have to experiment. Let’s talk about pregnancy for a moment. Having had kids of my own I can appreciate the discomfort of the last trimester of being pregnant. The don’t tell me I look beautiful or I’ll smack you discomfort. The back-aches and never ending stomach where the only thing you want to do is be able to tie your own shoes. Sims never really got that in prior series and the nicely rounded convenient tummies gave the illusion that something was going on like a nice safe Sims baby in exactly 3 days time. Well not this time around. The Sims LOOK pregnant. They grab their back like a real pregnant woman when they are uncomfortable. The Sims remains uncomfortable in that last trimester no matter what you do. Then just when you think it’s over as you were using the counter they give you like a countdown to baby, the baby doesn’t come. You wait another day. No baby. When will this beast be born! I want my Sim in comfort already! Sure enough when you least expect it that little bundle of joy finally makes an appearance. For some of the other fan sites this took 3 days, some 4 and some, like me more. So it’s not a set time to when that baby is coming, only an estimate which is a sometimes amusing, yet painful, thing to watch. When they go into labor, they really go into labor big time. A huge difference from any prior Sims series. The babies are cute, look like the parents and can be born at home if you own the basinet. If not they can be at the hospital for the baby. They have LEGS! Yes legs. Finally. They kick and everything. Tomorrow we will begin Part 3 and more about game play along with answers to the questions on Facebook and announcing the winners of the prizes. Before I post all the news and what the game is about I want to take the time to explain how I played. When I first played the game I played as a player not a creator. I wanted to get a feel for the game without looking constantly at what I can make. Creator drawback I suppose. So when I tell you that this game has brought back our funny, personable simmies I mean it. I laughed so hard at times I had tears streaming down my face. This game has really brought the emotions and reactions of our Sims together. The biggest change I liked from a players standpoint was multi tasking. 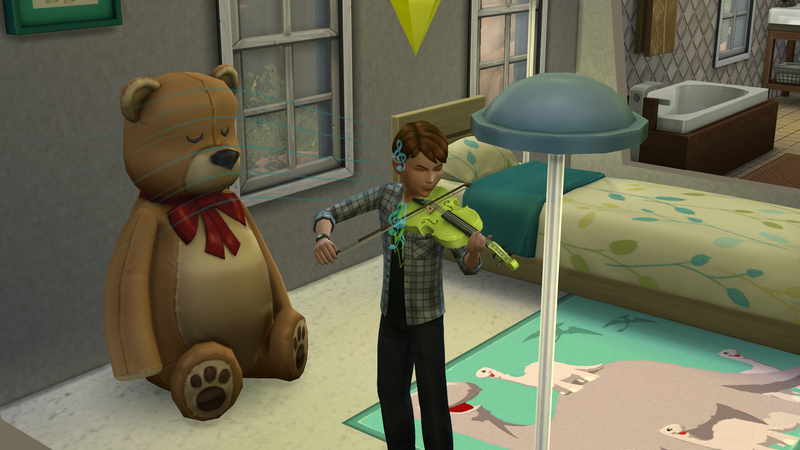 That’s right our Sims can now multi task! Today we’ll go over Master Classes for the first 2 days. Tomorrow we will cover the last classes and actual game play. This is just part of everything I have to tell you so let’s get started. Day 1 we talked about CAS and build mode. We started with Sim Guru Jill Johnson. Now you have seen a lot of CAS so you may think there is nothing more to say, well think again! The walk styles you have seen, and for those of you with the demo, get ready because they added more to the game. There will be at least 2 more walk styles. Everything can be randomized including the looks. Those of you with the demo probably have already seen this. 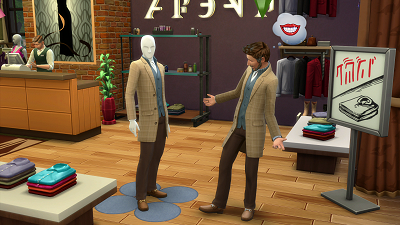 The coolest change is that you can use all the clothing for all the categories, so that if you see something in everyday or party that you want to wear to formal you just click off the sort. This is also available in the demo. The one thing you cannot randomize is the traits. Because your game play will be really reliant on those, they want the player to think about their choices. Unlike Sims 3, the choices make a lot of difference in the way your game plays. And when I say a lot I mean a LOT. They play off each other’s emotions. Genetics are very distinctive in Sims 4. Messing with genetics is fun and the kids come out actually looking like the parents this time. There is a very intricate working of the genetic system. When your Sim makes a baby, it looks like the parents. You will have the ability to change aspirations as they age up. So that your child may have aspirations more along the lines of a child, but change as they age. We had a chance to see all the clothing and all the ages of Sims. Elder clothing is much improved so that if you want a dowdy elder that can be done as well as stylish elders. You can age your Sim up right in CAS to see what they will look like once they become an elder. You can also change genders with keeping the attributes you gave the Sim in the first place. The kids are very believable and cute. They have clothing more in line with RL kids. They take into account gender and age attributes for each aspect of the genetics as well. 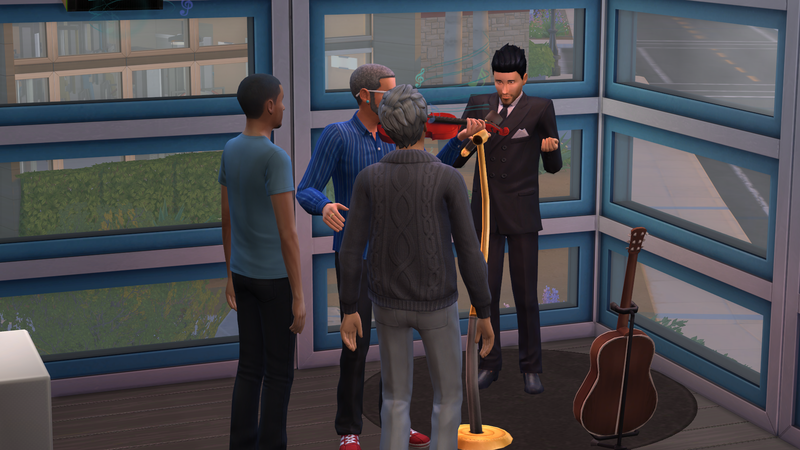 Interactive music has been changed in CAS as well as the camera angles so that they are different than the demo. This helps in knowing where you are and what you want to do while you are in CAS. 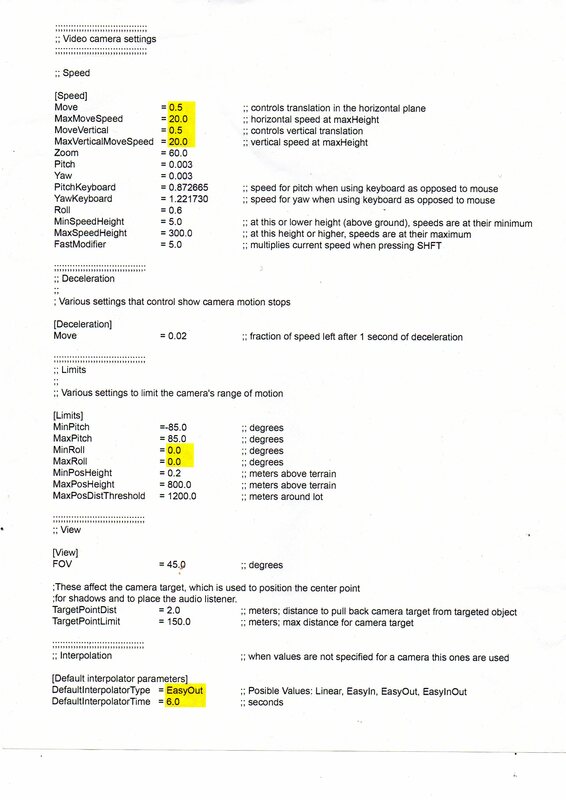 The voice sliders were done by a voice programmer who wanted to give as much range as possible. A voice programmer, who knew? Later in the day we moved to build mode with Sim Guru Aaron Houts and Sim Guru John Berges. Now again, you have seen a lot of this, but until you actually get to PLAY with it you cannot appreciate just how cool it is. The roofs are adjustable. I don’t mean adjustable like you can slide them I mean adjustable like you can make them round, oriental, just about any shape you want. Using shift you can change each individual side of the roof as well. Then moving on to the foundations. You don’t lay down a foundation like in previous games; you build it after the walls. With a slider. Also, I didn’t get a chance to try it, but we were told that you could make a sunken living room by deleting the foundation in parts. The windows are all adjustable as everyone has seen but, you can intersect all wall décor with the windows. There are some cute window plants I used that look great. All walls can be raised 3 adjustable heights. Individually for each story of the lot as well. There are windows to fit each size. The columns adjust to the wall size so you don’t have to pick columns that will fit. They all fit. They also snap to walls and fences. There are rounded foundations, but before you ask, no there are no rounded walls only fences. Which means you can have rounded fences and porches. There is crown moulding that can be evenly distributed with the shift key, very pretty. The roofs have an adjustable siding that can be colored and thickened. For all you modern lot builders who have screamed about pools, there is in the ground finished fountains that will give the same effect as if you were using a pool to stylize your lot. They are very nice and come with water spouts, many many water spouts. As I started out as a builder in my Sims “career” I can appreciate the flexibility of the build tools. There really is no need for a CFE cheat with all the tools built right in. The flexibility to make a distinct playable lot is all there. The one drawback was that there are no terrain tools. You have terrain paints but no tools. All of us voiced our dismay over this and they are listening to us. It won’t be in base game but added later. Before anyone gets upset, a lot of things didn’t come in Sims 3 base game either. Just think back. We did get them in time and they really do listen to us. The same is happening with Sims 4. Just be polite and voice your concerns. They do listen. Here is a scanned list of hotkeys we were given in build mode. Moving along to after the build and on to decorating the lot. All that clutter you saw in previews is there! They also revamped the categories in buy mode so that there are distinctive categories for each thing. They noticed once CC became abundant and they had many EPs out in the Sims 3 that everything was thrown in Misc and very hard for the player to find. Décor has the biggest revamp with an actual category for clutter. There are no collection files as of yet, but then again this is only base game. No need just yet. As I went through the objects to decorate my lot I have to be honest. I was still trying to think like a player not a CC creator. Which is a hard thing when you’re used to saying “Oh I need that for this lot. I’ll go make it”. I took and looked through each and every category, again staying in the player mode, and was actually delighted at some of the stuff they have for children! Children will again be able to use and gain skills with musical instruments. There is a kid size violin. And yes they sound like your kid when they are first learning an instrument. Screeching violin strings and all. There are outdoor play items that the parents can interact with the kids. One is a pirate ship. The Pirate ship has way cool interactions. Sim Kid gets in and plays and the interaction pops up for the adult to be a sea monster. Too funny. There is no swing set but you really don’t miss it with all the other toys. The bookcase and toy chest were the 2 items I put on the lot so checked the interactions with them. The toy box has toys you can buy by clicking on it. Same with books and the bookcase. You can purchase what you need directly from the storage units. This is convenient in terms of play. Moving on to decorating the kitchen the counters have a predefined setting if you want to use it. All cabinets can be elongated to fit larger walls and they have different designs available with a click. They don’t show in the catalogue so you have to play with that once you get the game. It’s very cool. Now mind you I was supposed to be PLAYING not building at this point in the day. But I just could not for the life of me tear myself away from the uber cool lot I was making. I know, I know, I said I was trying to be a player, but the tools….OMG the tools! My creator self locked my player self out this first day like I needed some sort of exorcist to knock my head back into place as it spun round and round in this crazy wide eye building frenzy I had going on. Thank god I had 3 more days. Day 2 Animations and Modding. That’s right actual Modding info! Now the full day 2 had the classes I was most interested in. How the Sims work and how easy it will be to Mod the game. Are they going to help us modders this time around? Why are there no toddlers? All of that was to be in day 2. We started the day playing the game, and yes I actually left the building alone to get a feel for the game. I’ll go over game play a bit tomorrow. The first Masterclass was with Sim Guru Marion Gothier who is a master in the animation dept. It was interesting to see just what goes into animating our simmies and all that went in to each individual interaction they have. The added emotions means that there was a lot more bullet points in the coding. It was very intricate in what they have to do to actually have all the interactions the Sims have now. Contrary to what the layman or player thinks you can’t just “turn on a switch” to make things work. They can lay a foundation for say, toddlers, but it’s some very complicated coding this time around to get it to work. Leaving off the toddlers in base game was a decision that was not made lightly. So why was the decision made? 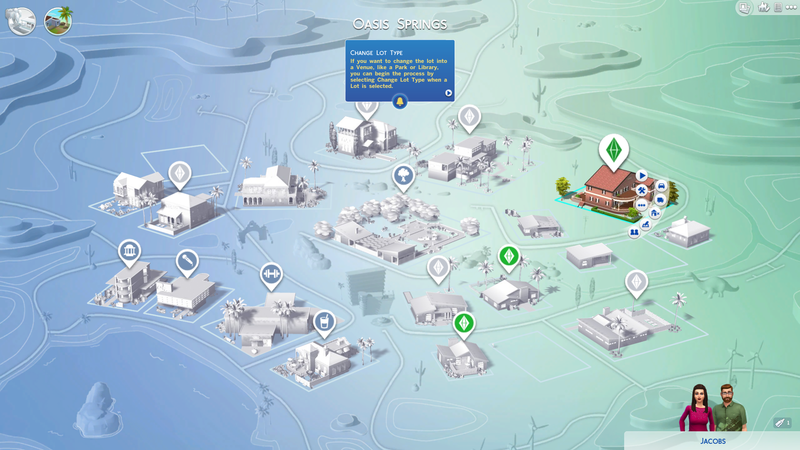 The added features to the Sims themselves is a complicated web of design. Toddlers will have to have their own interactions separate from the Adult Sims to make it believable. Kids have a mix. After seeing the actual plans they have to follow to make the Sims this realistic in their interactions I totally get it. We all voiced they should be more transparent and explain to you all as they did to us. Once you look at the animation bit you “get it” so much better. The intricate coding all spelled out for every single action to make the multi tasking and interactive emotions work is immense. It’s nothing to have over 100 bullet points for something simple as going potty and using the tablet. They have given us so much in our Sims this time it’s unbelievable. There is multi tasking which they were keen on adding. Also several skills can be obtained at once coinciding with the multi tasking. For instance I can put 2 Sims in a room. One of those Sims wants to run on the treadmill, watch TV and talk to the other Sim at the same time. They can now do that along with getting the Athletic Skill, Charisma Skill, and whatever they are watching on TV (say gardening) skill at the same time. To top it off the other Sim can be exercising as well and talking to the first Sim. It’s genius! This took a lot of thought in the animation process. The game play is flawless in this respect. It also makes for more believable Sims. Sim Guru Marion explained this well. She even took the Sims animations to Maya, for those of you non creator types this is a program used for building meshes and building game animation. One of the best around. I found it interesting to see the animation process from start to finish. The bullet points look like something out of access spreadsheet with boxes and pointers all meticulously done so they coincide and do not conflict each other. To be honest I had my geek on for this. They made movies of people jumping up and down, holding things, all sorts of Real Life interactions we take for granted every day so they could study them and put them into a code that would work. They watched how people do several things at once like eat and talk and drop something at the same time to pick it up while still talking. It was amazing what they studied in the way of Real Life movements to make this work. After making and watching numerous videos of movements they then had to code it into a game. As said above it was akin to an access spreadsheet with boxes and pointers and sliders to where exactly the movements would go. Then testing the interactions with Maya to see them move and see if the coding worked. Think of this thousands of times over and over to get what they wanted in multi task. There are something like 10,000 animation types in the Sims 4. Multiply that by thousands of interactions. It’s amazing. They have outdone themselves in the animations coming with Sims 4. Now on to what I am most excited about for the modding community. Most players will not be interested in this. But those of us in the modding community are going to be excited. Now keep in mind that historically modding to EA and modding to us is usually a totally different thing. Modding to them could have meant adding more colors to their objects. So I waited with baited breath to see if my dream of a cooperation of sorts was maybe happening. As Sim Guru Darren Styles and Sim Guru Lindsay Pearson took the stage I held my breath. The opening of “We want to set a foundation for Mods and Script Mods for the sims 4……” I thought I was going to scream. It was like being on a game show and winning a million bucks! So it was INDEED going to be about actual real life modding and the modding community! I had questions, loads of questions and couldn’t wait for them to open this up. Basically throughout the class most of my questions faded to the back as they explained they were giving us a road map of sorts of game coding and inside workings of the object/clothing codes. Their reasoning behind this is that even though they legally cannot go all out and help us, they can give us a starting point. This will help them in turn as we have the foundation to be in a position as to not break the game in the learning process. They can keep a better eye on us so when a player contacts support they will know where to send them or help themselves. They have finally accepted that Modding is going to happen and they are better off doing what they can for us legally than totally ignoring our efforts. So what does this mean for the modding community? It means we will have CC within days not months of game release. There will be a modding forum on the Official Sims 4 website they hope all of us in the modding community making the tools will use to discuss amongst ourselves and help each other out in the tool making process. They will have a tech watching in case they see us maybe moving in a direction of “break the game code”. How much help we will actually get from them is yet to be seen, but at least they are giving us the initial road map to get started without having to tear apart the files ourselves. It’s a great day in the modding community in a world where most gaming is open source with gamers getting mods from the beginning. We were pointed to the game options where you can see the mods and script mods options right in the game. You have the option to turn off script mods as they are deemed the most dangerous beta to use. Not to worry, there are some very good script modders in the community who test the script mods extensively before release. Everything is going back to .package files for us and will be installable via my documents. I asked about the xml coding like in sims 3. This has already been confirmed to be python based, but there will still be some xml coding in game as well. Now those players who have no idea what I am talking about, this has to do with making simple mods for the game. It has to do with game tuning. So here in the next 2 weeks they will be posting a Custom Content Technology Document right on the forum for modding in the Official Sims 4 Forum. 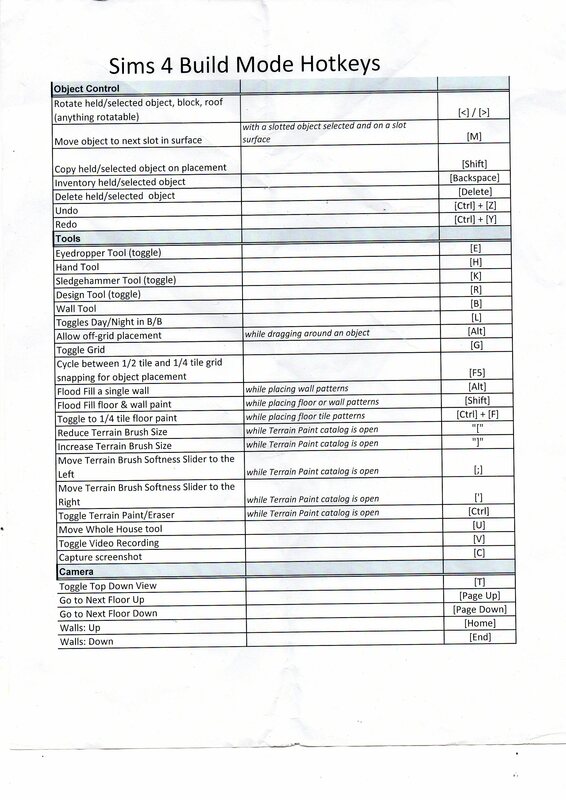 All the data formats will be on this document. They plan to update this as the game progresses. This simmer tried to get her hot little hands on that document while there, but of course it was a no. Tomorrow we will talk about day 3 classes and get into Gameplay. Creators Camp! The experience, even if I could not share anything I have seen, was enough for any simmer. I would like to share a bit about camp and the people I met. The Sims community of fans and players have some of the best people. I’ll share some of the most memorable times. This by no means is a full list of people there, only people I had personal moments with. SimsVIP- All around goof ball and great person. You get what you get with her and I loved every minute of it! I made a lifelong friend here. Most memorable moment was having a drink out by the pool at the hotel late into the night and having the automatic sprinklers wet us down good! It was a missed “Kodak” moment. All the fun aside what a hard worker! She will have some good stuffs come tomorrow. The Sims community has a real asset with SimsVIP. The SimsSupply- James! I can’t say enough about what a nice person he is. We sat close to each other during our game play laughing and joking about our simmies and lots. We came to the conclusion neither one of us could leave the build mode too long! Most memorable moment was when he grabbed me for a picture at the Sims 4 logo screen. Too funny. Pekesims- When you meet up at these things you expect to meet people full of hugs and excitement. Pekesims was the most enthusiastic out of all of us. Forever laughing at my jokes and anyone that laughs that hard at my crappie sense of humor has already won me over. Most memorable moment? When he picked me up off the ground with a great big hug and said “I LOVE your stuff!” Call me vain. Minraed – SIFF Head she is an amazing person. Most interested at Camp to get all the info she could for her precious Machinima Makers. The Machinima community is lucky to have such an advocate for art. Minraed and I go way back in the community. She calls me her CC slave…too cute. This was our first face to face meeting so very exciting. Most memorable moment was when she met me at the airport as soon as I got through customs and we realized we lost Rachybop someplace. SimsNetwork, snw – Freezer Bunny Lady! I will forever think of her as the freezer bunny lady. I met her at the Simmers Meetup in London this year the first time. At Camp she was loads of fun and we passed around the freezer bunny like it was the most precious thing in the world. Unless you are a simmer you would never understand. Most Memorable Moment was when she let me wear the freezer bunny finger puppets. The Sims Series – The Brazilian Guy. THAT guy, why are we talking to him? Microphone in your face…OK we’re done. Sims VIP said it all. Seriously though he was a very good sport with all the teasing he had to put up with. I think the thing I like most is the mix of Portuguese and English in his videos so everyone can enjoy them around the world. Most memorable moment involved James, me and SimGuruGraham. You’ll see, don’t want to spoil all his fun before he airs videos. Just be watching. Sim Cookie – Another Simmer I met at the Simmers Meetup first, although did not have a chance to talk to him much there. He was another fun person to be around. Full of smiles and an infectious good mood he lit up the room. Most memorable moment was when we took our first group photo I was laughing so hard with him that it was a good thing they took 3 shots so they got me facing front and not him. Chrillsims –Shy but yet we all sucked him into our madness. We left no one standing to the sidelines in this Sims Encrusted Fiasco. We were like whirlwind of craziness all with one goal….to PLAY THAT DANG GAME. My most memorable moment with Chrill was when I told him we were all now a gang. He belonged to our gang. He smiled a great big smile. Was priceless. AsiaShaMecca-On the team at SF Magazine. Another person I have spoken to many times but never met in person. I really enjoyed meeting her and there were hugs all around. She is an absolutely beautiful person! Most memorable moment was when I broke a nail. Gals you know how that is, baby them, grow them, and in that one split second RIP goes the nail. She looked at me as if it were just a snag and handed me nail glue. Sounds trivial but was a moment shared between nail growers. BillSims-Always has a smile. Really. That is the one thing I can say about Bill. It’s nice to be around a happy person. Most memorable moment I can’t talk about too much but involved Tylenol. Thanks Bill! Sarademoor1- I end my simmers list with Sara. A heart full person with a personality that is so endearing. Her most memorable moment with me was the night we all had to say goodbye. Tears were flowing everywhere and with her you just wanted to hold her and say “we WILL see you again”. Huggles Sara. SimGuruRiley- Very upbeat, very fun. Favorite Moment was all of it with her. I can’t pick a favorite moment. She enriched the whole thing a hundred times over. Way to go EA for letting us have her for the week. Love the tattoos! Sara who is not a guru- Sara is EA Staff and says “I am not THAT SimGuruSara” hmmm SimGuruSara2? Come on twitter and play with us! My favourite moment was a shared dinner and conversation. She knows. Thanks for the memory Graham. I have loads more memories but I cannot share them today. I will be summarizing all of the Game data for you all tomorrow. I leave you with this. You will be pleasantly as surprised as we were. We have the winners of Select Artist Creations for June! Sorry we are a bit late with this! We will be changing this a bit and looking at overal quality of creations since we have so much talent at TSR. It's hard with our Select Artists to choose one creation in particular. We urge you to browse their minisites for loads of quality items. 1st prize $50 goes to Severinaka for Creations made in June. 2nd prize $30 goes to Paogae for the Creations made in June. 3rd prize $20 goes to Rennara for Creations made in June. Well done everyone! Please congratulate them in their guestbooks. Winners send a PM to RicciNumbers or Anoeskab for instructions on how to claim your prize. Select Artist Winners for May! We have the winners of Select Artist Creations for April! 1st prize $50 Amazon gift certificate goes to SintilikaSims for the creation Female hair Wine. 2nd prize $30 Amazon gift certificate goes to RedCat for the creation Form Fitting Dress . 3rd prize $20 Amazon gift certificate goes to Evi for the creation evi Aegean Goddess. Winners send a PM to RicciNumbers or Anoeskab with e-mail address the certificate should be sent to. The E3 conference will be the showcase for all things Sims 4 and we will be watching for news to bring to you here! 1st prize $50 Amazon gift certificate goes to Guardgian for the creation Lilly's Bakery. 2nd prize $30 Amazon gift certificate goes to EsyraM for the creation Countryside Summer Dress . 3rd prize $20 Amazon gift certificate goes to MJ95 for the creation Madlen Radium Shoes. The internet was recently rocked by the announcement of a critical vulnerability in OpenSSL dubbed Heartbleed. Libraries provided by OpenSSL are used by approximately two thirds of companies on the internet to secure their communication. Companies across the internet are now working to both patch the vulnerability as well as take appropriate precautions against any potential exploits of the vulnerability. This vulnerability has been given the CVE (Common Vulnerabilities and Exposures) identifier of CVE–2014–0160. Because the vulnerability may have exposed private keys used for encrypting traffic between TSR, you and third parties we have issued a new certificate and made sure that our encryption software is patched. We have also made sure that third parties have patched and mitigated the problem on their end. There is no indication of data being leaked because of this vulnerability but as a precaution we recommend that you change your account password. If you have any questions or concerns about this please email support@thesimsreource.com. We are monitoring things closely and are working on ways to further improve security on TSR. We have the winners of Select Artist Creations for March! 1st prize $50 Amazon gift certificate goes to Rennara for the creation Durham Kitchen. 2nd prize $30 Amazon gift certificate goes to Pizazz for the creation Casual Outerwear . 3rd prize $20 Amazon gift certificate goes to Severinka for the creation Accessory Heart #08. We are happy to announce the beta test of our new amazing search engine. We know many of you were frustrated with our previous search engine that often gave irrelevant results and made it hard to find exactly what you're looking for. We encourage you all to take our new search engine for a spin and let us know what you think of it. We will post more information about how you can use it shortly, but rest assured it is very powerful and allows for very complex search queries! You can test it here: http://www.thesimsresource.com/search/ or simply use the search field in our top navigation. Leave any feedback in our forums here and enjoy! We have the winners of Select Artist Creations for February! 1st prize $50 Amazon gift certificate goes to Zodapop for the creation Patterned Knit Tub Top and Leather Skirt. 2nd prize $30 Amazon gift certificate goes to Zauma for the creation Melodies Hair . 3rd prize $20 Amazon gift certificate goes to Sherri1010 for the creation Hunter. To make sure we keep up with the mobile trend we are now rolling out a responsive version of the site. This means if you shrink the browser window to a size smaller then 500 pixels in width the content on the page will adapt and look very organized and streamlined, but optimized for viewing in a mobile phone. For VIP users we have made sure the add to basket button is visible on all pages so you can add files when you're out and download them when you get home. This is a public beta so please report any pages that look weird or messed up. Please note that the responsive version hides a few features of the site in case you find something is missing in the menues or on download pages. Enjoy TSR on your mobile phones! Note: If the page looks weird it is due to cached CSS in your browser and on our servers. Please allow 2 hours from the posting of this news post for the responsive version to be fully functional. We have decided to bring back the awards for Select Artists with outstanding work. The first of these have been chosen for January. 1st prize $50 Amazon gift certificate goes to NynaeveDesign for the creation Harmony Lounge . 2nd prize $30 Amazon gift certificate goes to SintikliaSims for the creation Female hair Ersel . 3rd prize $20 Amazon gift certificate goes to MJ95 for the creation Madlen Petra Shoes . Hi everyone! We just wanted to let you know we are trying out a new ad solution and that the site might load a bit slowly at times while we're finetuning this. We apologize in advance for any inconvenience. VIP members will remain unaffected by this of course! We are happy to announce that we have relaunched Simspiration, our inspirational Sims Magazine. First out is a holiday issue, showcasing a lot of great content that you can go ahead and download for free after reading! Go here for more information. Merry Christmas from the TSR Team! We've had an interesting year what with being in Cologne for the big launch of The Sims 4 and then changing TSR to a completely free resource. Now we can look forward to 2014, the year of The Sims 4, and all the excitement and challenges that will bring us. Our very Best Wishes to you all! Baby it's Cold Outside! (Ok, so in some parts of the world it's not very cold at all, but it is here, so just agree with me!) And when it's this cold, we need something warm and cheerful... like a new Facebook Cover Photo showing your Sims celebrating the holidays! Take a screenshot in one of your Sims games (Sims 2 or Sims 3) that best portrays your Sims in the Holiday spirit. Show them hosting a gift giving party, or having a snowball fight, or sipping hot cocoa on the front porch. Your shot can be anything related to Sims celebrating in the cold, but it must be PG-13. You may enter as many times as you like. Entries must be submitted by 10PM EST on Sunday, December 22, 2013. Winners will be announced by Thursday, December 26, 2013. - The first prize winner will see their screenshot on our Facebook page as our cover image and will also receive a full month of VIP access to the site (no advertisements, use of the download basket, etc). - Second place will get two weeks of VIP access. - Third place will get one week of VIP access. NOTE: Facebook cover photo size is 850x315 and our logo will be on top of the bottom left corner of the image. We've finally fixed the login bug many of you have experienced. It showed many of you as being logged in, but made it impossible to post comments or use VIP features without logging out and back in again first. We've added a nice and clean lightbox feature for displaying the full size image on the details page, it also allows you to look through the entire album in fullsize mode. And we've done some other small tweaks and fixes as well - hope you enjoy what we're doing! We hope you are enjoying the now free TSR and the tons of quality content we know you are downloading. - Plus many other smaller fixes. Enjoy the changes - there are more things to come! TSR becomes FREE with a new site design! Today we are celebrating a milestone in the long history of The Sims Resource, taking the bold decision to remove our Subscription model and return to being a free site! With advancements in advertising revenue streams and having negotiated direct advertising deals and sponsorships, we believe that now is the right time to replace our subscriptions with a 'freemium' model instead. Version 9 of the Sims Resource is now live and gives users unparalleled access to all of the 852,000+ downloads available for The Sims games, including our Featured Artist creations that have previously been locked away for subscribers. You don't even need to create an account or even log in, just turn up, browse and download anything you like with no restrictions. Sites like TSR have substantial overheads with bandwidth fees and masses of online storage space. We also pay our small army of Featured Artists to create some of the highest quality creations you will find in the Sims community. We think that our new site design, which incorporates additional ads when downloading, will cover these costs and provide a future for TSR and our amazing archive of 14 years worth of custom content creation, for years to come. For those wishing to experience the site at its very best and who are willing to make a small contribution towards the running costs, we are introducing a VIP Membership which allows users to browse the site free from any advertising and to make use of the download basket and high-speed dedicated servers that used to be reserved for our Subscribers. They also get to download with a single click from the browse pages. These benefits cost just $2.99 per month, a great deal compared to the old Subscription rate of $8 per month. You can see the VIP area and experience the ease of the download basket on our VIP Preview Page. We would like to thank you all for your continued support for TSR and hope that you like these changes and the new website. Feel free to share you comments with us to help us improve further. Although you no longer need to log in to download, you will need to log in to post in comments, guestbooks and the forums. We have started a forum thread for feedback and bug reports for the new website. This article is a challenge. Create a Sim and Build Mode were right up there on people's wish list for information. If I tell you this is about sitting in chairs and walking, you’re unlikely to be impressed, but if you are really interested in Sims 4 I urge you to read, I found the whole subject matter fascinating! I can't help but feel like a salesman while writing this article though. Some of you might see it as a shameful promotion of Sims 4 in trying to convince you that it is better than Sims 3. Well, that's not my job (leave that to EA marketing). All I can do is pass on my experience and the opinion I formed while at Sims Camp, it is of course for you to make your own assumptions from what you see. Me personally? I really liked what I saw and was drawn in by the depth of the technical changes and the effort the development team were clearly putting in to this product. I only wish every Sims fan could have seen the presentation we saw from Marion Gothier who gave us the 'Principles of Animation' Masterclass. Most of you would have found it fascinating, I'm sure. The difficult thing for me here is explaining what we saw without the benefits of the animations and research Video Marion had on hand, but I'll do my best with my mock-ups made in Sims 3! Every single animation in TS4 is new, nothing has been ported over from any previous game and it soon becomes apparent why that would not have worked. The principles of the animation of Sims in TS4 are that they are less robot and more human. Sims have smoother, more natural behaviour motions with vastly improved routing. 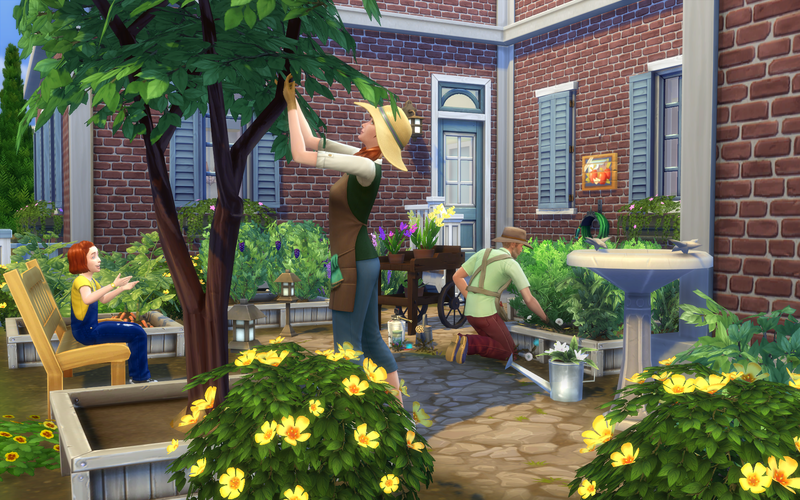 Group socials and multitasking are two ways that Sims look and feel more human than ever before. In TS3, Sims could only walk in a straight line, making slight angle adjustments at turning points if necessary. In TS4, Sim can walk in a full 360 degree turn. They can also sidestep, turn while walking and manoeuvre into a tight space. Stepping and turning can be done at the same time so a Sim getting up out of a chair no longer needs to stand, then shuffle to the direction they want to head, then start walking in a straight line. TS4 Sims will raise themselves out of the chair, turn themselves accordingly and start walking in a single, fluid motion, not only making the whole process quicker but looking very realistic. In fact, there are 60 different animations for a Sim stepping and turning in different ways alone! Sitting is something that has had a major overhaul and seating placements can now be placed on almost anything. We may be lucky enough in future to see Sims sat on counters, tables or even walls! Almost all animations that we have come to expect from a standing Sim can now be made while sitting as well. We watched a Sim multitasking at a dinner table with another Sim. In between eating, the food was placed back on the table to allow for gesturing while talking. Drinks are picked up and put down as needed and while all this is going on, the Sim is twisting in his seat to face the other Sim while talking, or facing forward while eating. It doesn't sound much but when you see it in game it makes you realize how cardboard our past and even current Sims behave. Another example was given with the storytelling animations. When a Sim tells a story they can gesture wildly, and each story has 3 sections which can have different animations of gestures so it might start out well but end up with little response from the audience, resulting in a failed gesture of disappointment for example. Importantly though, we were shown a Sim telling this story and gesturing while standing, sitting on a chair and even sat on a barstool with his feet on the stool rail. Animations are truly flexible and can be used far more diversely in the game. Welcome to my next Sims 4 article from Sims Camp in Cologne, this time looking at Build and Buy Mode. It's been really hard keeping quiet about all the great things I learned back in August, but release embargoes have made talking about this stuff off limits... Until now! Aaron Houts, Designer of the Sims 4 Build Tool, gave us a presentation and demo of how Build/Buy works in Sims 4. There is still a lot we don't yet know about and of course, this stuff that we think we do know might change before release. EA are drip feeding us info so expect more soon. Apologies for the image quality, we were restricted to photos of a projected screen so had to make the best I could of them. The community seems quite split right now on its love/hate relationship with Sims 4, long before they are really able to make a fair judgement, but that's natural, given the limited information available. Let's try and balance that right now by telling you that during this presentation I noted no less than 15 'WOW' moments from the group in my notes, and it pretty much sums up Build Mode.... WOW! 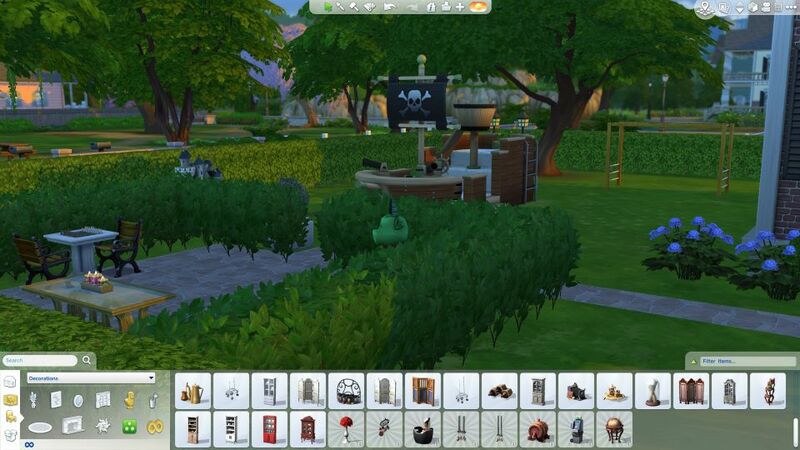 Sims 4 is built on an entirely new game engine which has allowed the developers to rethink the way Build Mode works. They felt that some players felt intimidated by the complexity or sheer workload of creating their own stunning homes in previous games. Many admitted to playing their entire family in a one box house with everything in the same room (sounds familiar). At the same time, EA respected the deep customization that experienced builders wanted. The result was a complete rework of the system to make Build/Buy accessible to all.